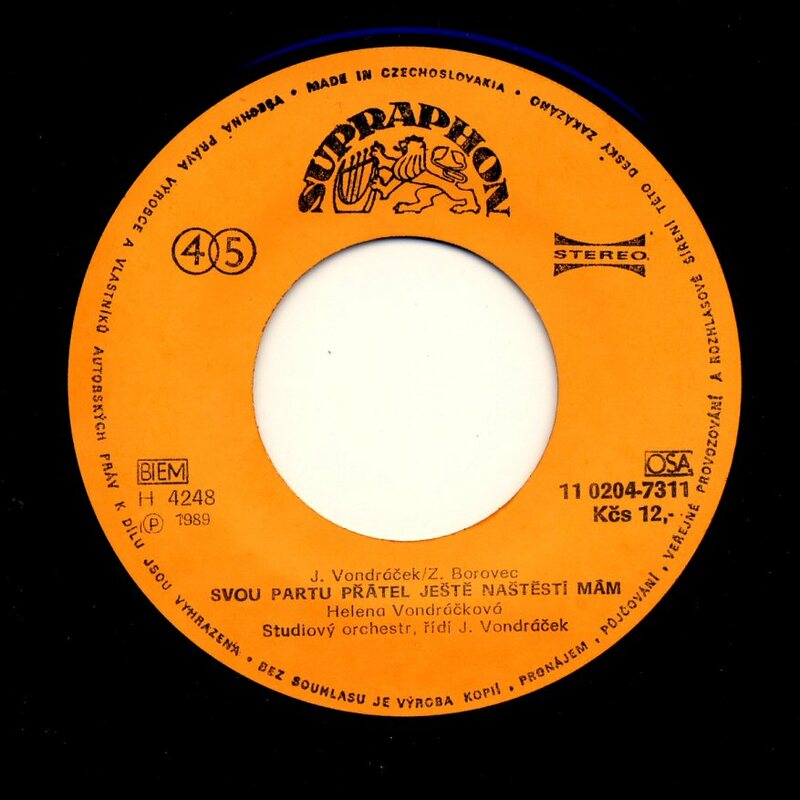 The record company Supraphon released the single "Kdyz zabloudis, tak zavolej" at the beginning of the year 1980 with the notice that the song had participated in the festival in Tokyo. New studio album was entitled "Muzy" (Muses). The recording sessions took place at the Mozarteum studio in Prague between March and July 1979. 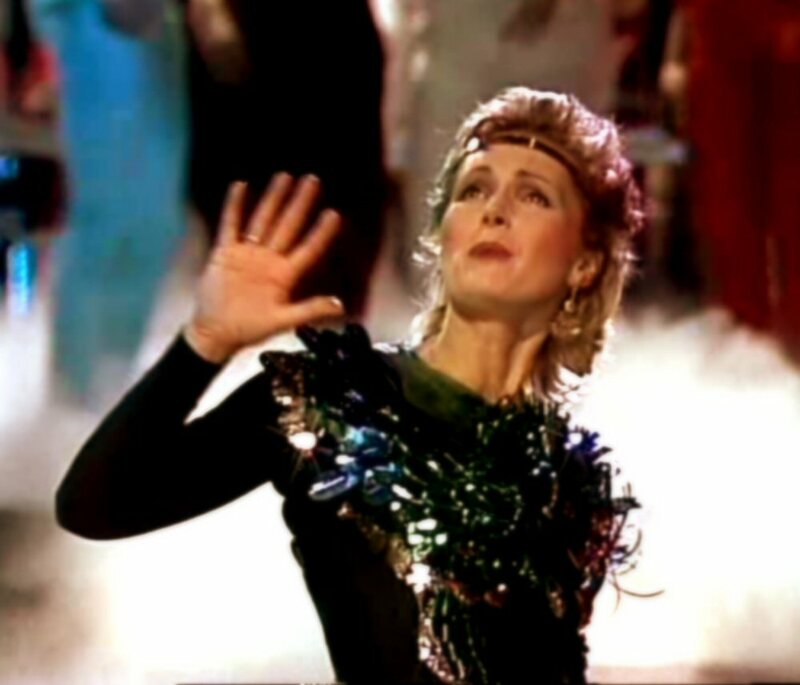 Ten of totally eleven songs on the LP had been written especially for the album and they were arranged in the popular by that time disco style. 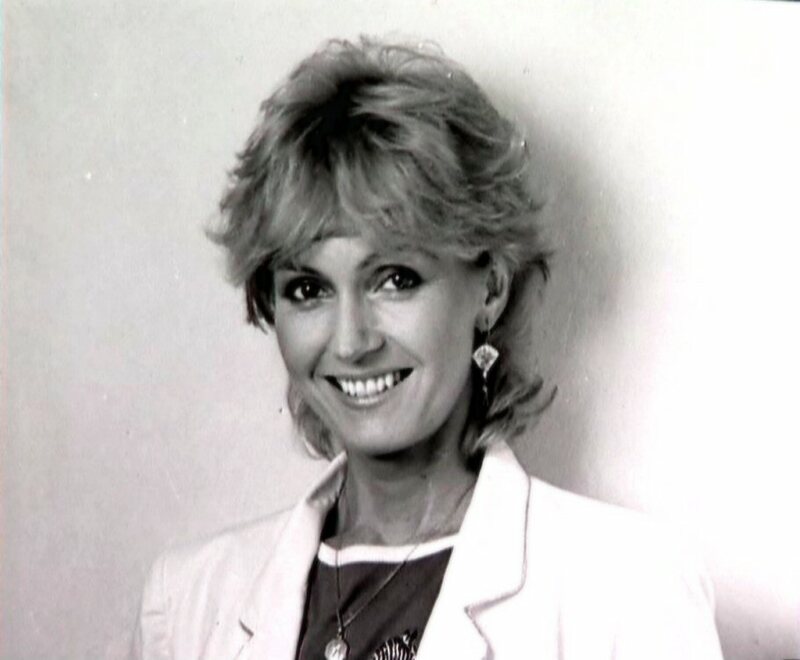 Helena included even one international hit - her own version of "Dancing in the City" which had been originally performed by duo Marshall Hain in 1978 and became #3 on the UK chart. 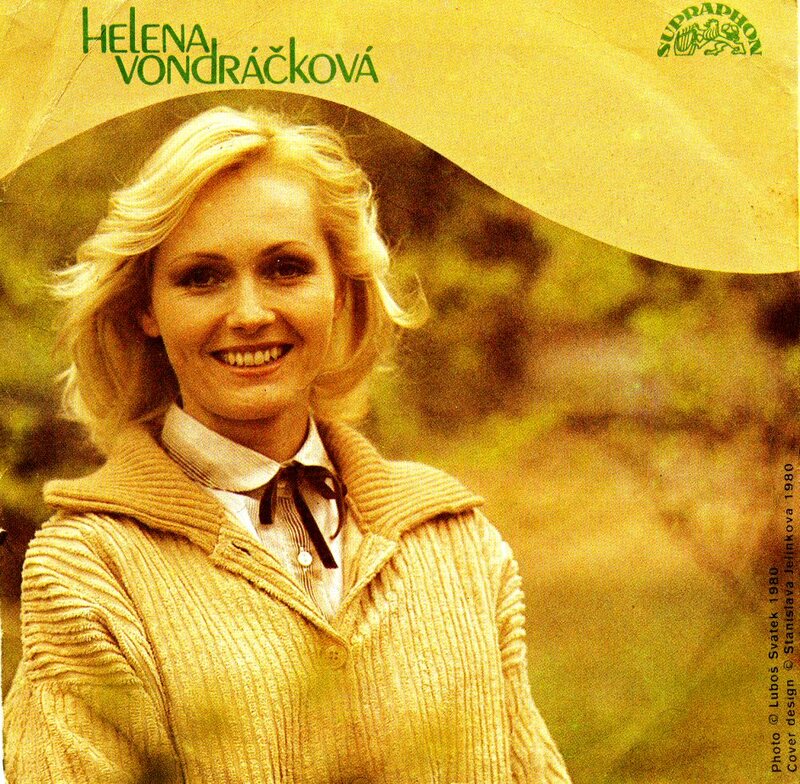 Helena was one of the biggest stars who celebrated 20th anniversary of the Czechoslovkian Dance Orchester on the album "Benefice" which was released in 1980. All artists participating on this double album rerecorded their greatest hits with new arrangements together with the Orchester in November 1979. 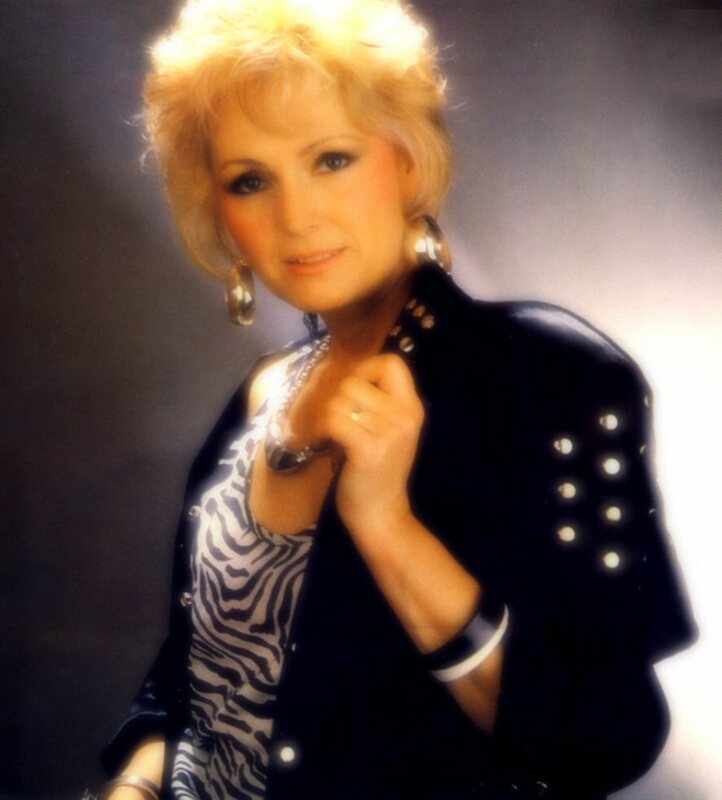 Helena contributed with new versions of her hits: "Kam zmizel ten stary song", "Mam rada cestu lesni", "To se nikdo nedovi" (with Waldemar Matuska) and "Cervena reka". 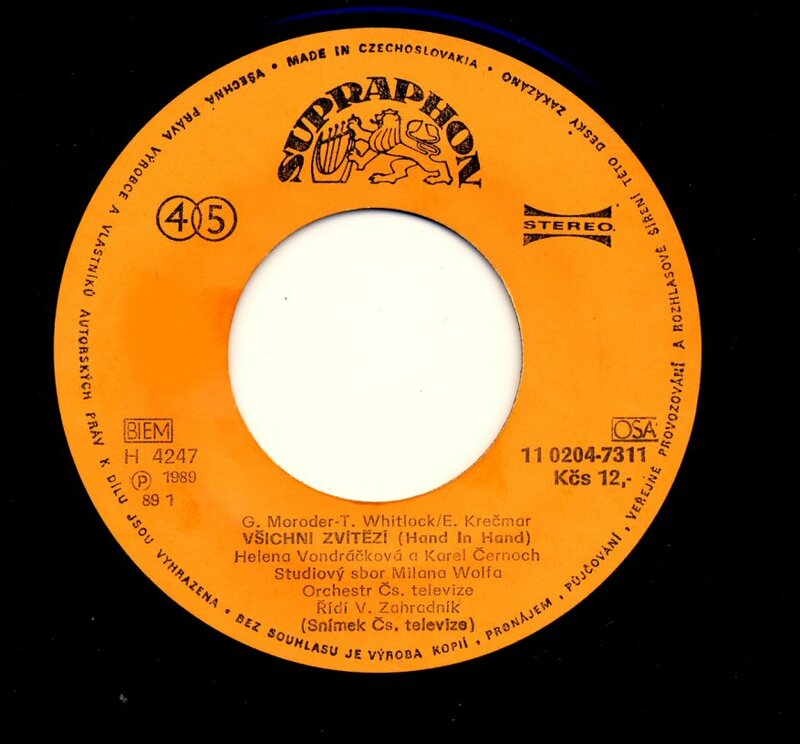 The first single from the album "Múzy" featured a non-album song "Leto je leto" originally recorded by Goombay Dance Band as "Sun of Jamaica". 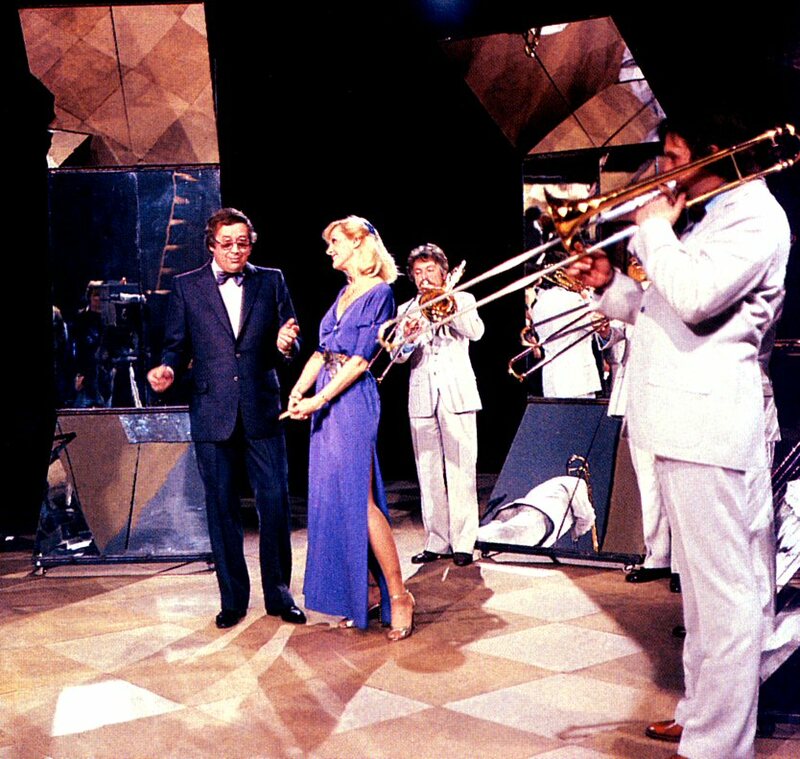 The title song from the LP - "Muzy" was on the side B.
Czechoslovakian TV recorded a show featuring songs from the album "Muzy". 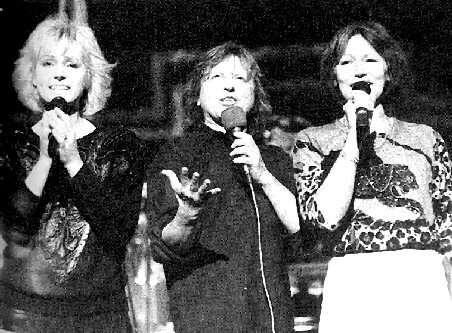 Helena performed her new songs as well as "The Beatles Medley" together with two her colleagues: Vera Spinarova and Jitka Zelenkova. 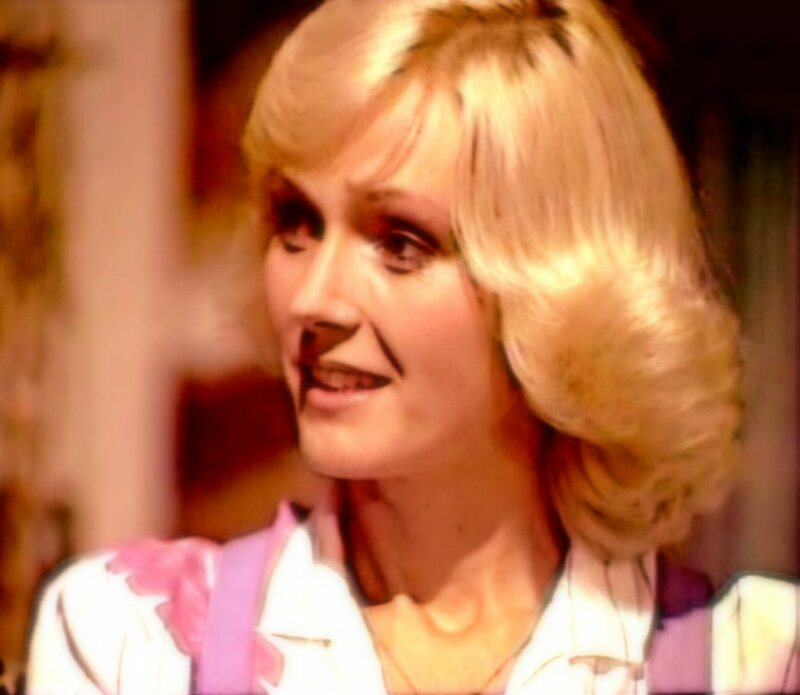 Helena appeared in almost the same outfit as Agnetha Fältskog on the cover of the ABBA album "Gracias Por La Musica". 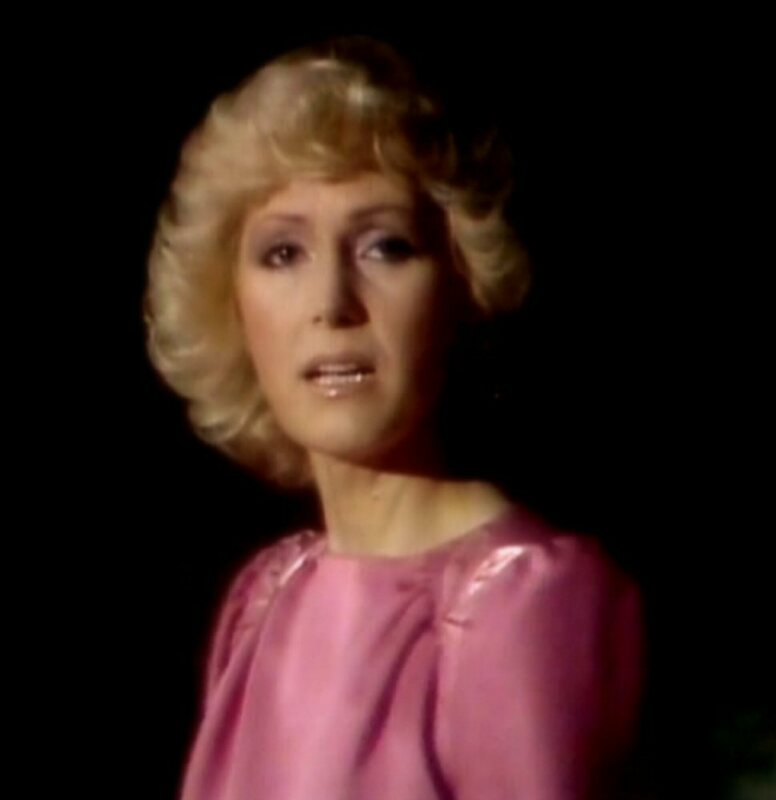 Helena's 1979 single hit "Ein Engel, der weiss, was er will" was one of the songs featured on the compilation album "Super Hitparade 80 - 20 Stars" which was released in West Germany in 1980. The LP was released as a green vinyl and it contained totally 20 chart hits featuring stars like Peter Maffay, Waterloo & Robinson, Milva, Gitte Henning, Richard Clayderman and many more. 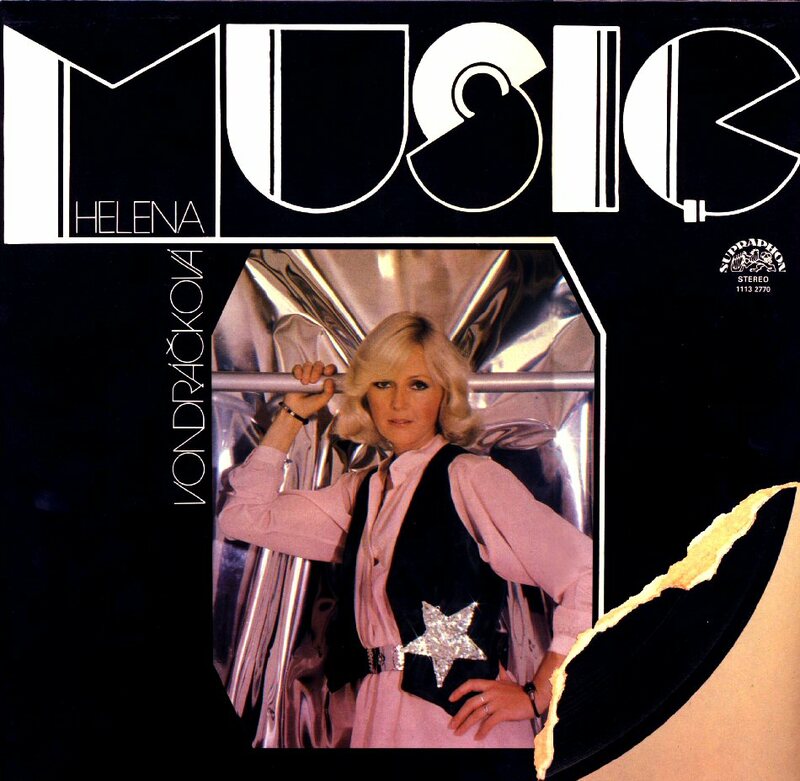 In April 1980 Helena recorded English version of the album "Muzy" which would be entitled "Music" and released later the same year. 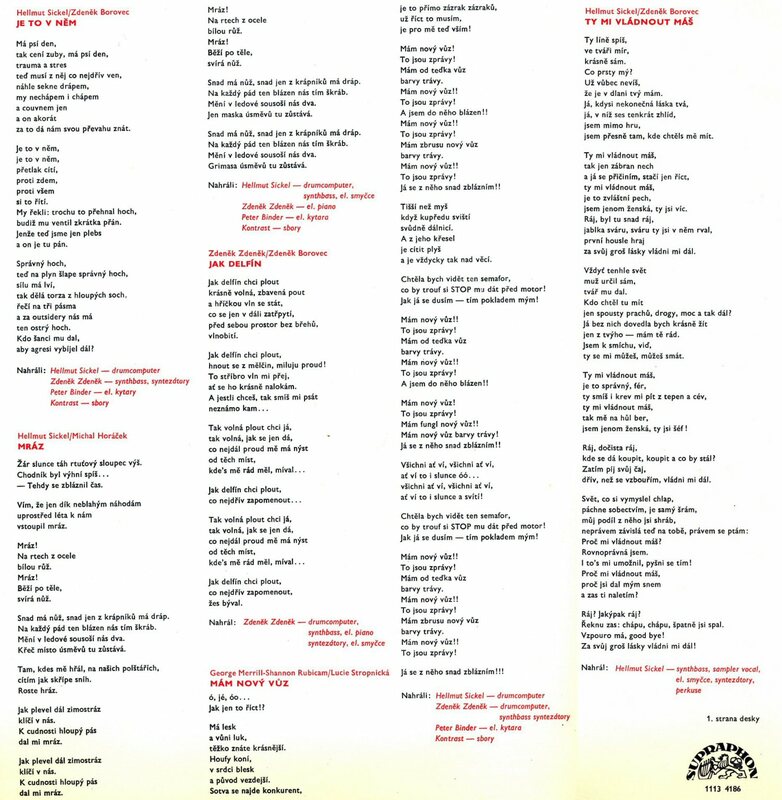 The English language album had almost the same cover as its Czech version and information about the singer in English. 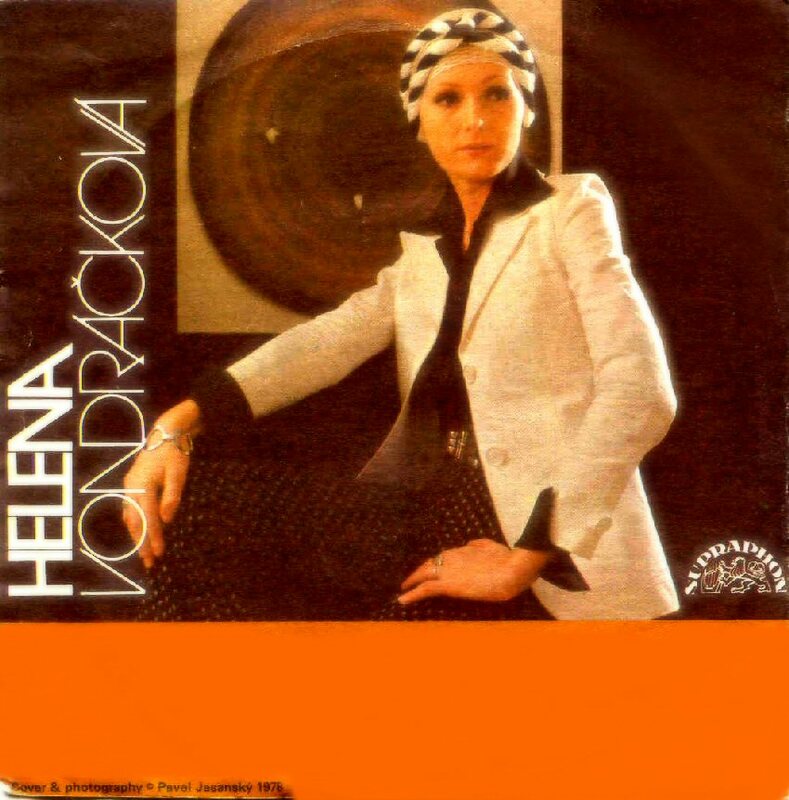 Czechoslovakian TV recorded show series entitled "Krucifix" featuring Helena staging different personalities. 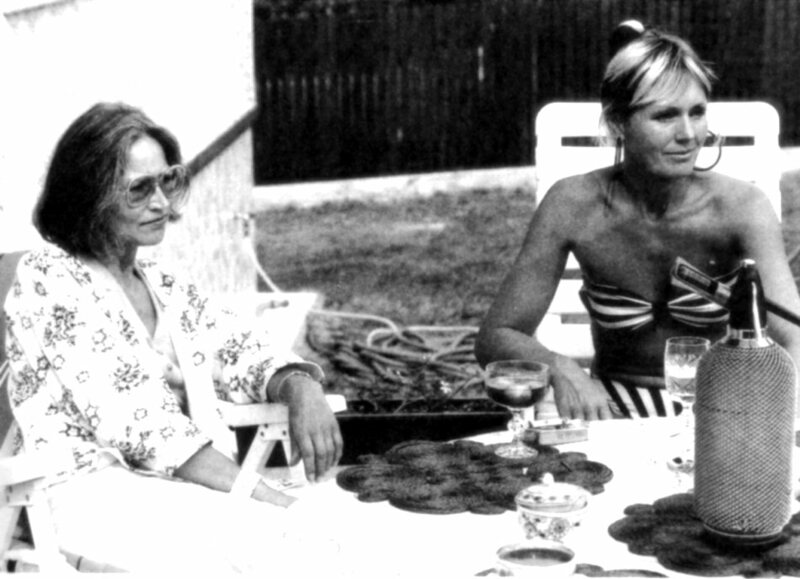 She acted not only herself but even Marlene Dietrich and Josefin Baker. 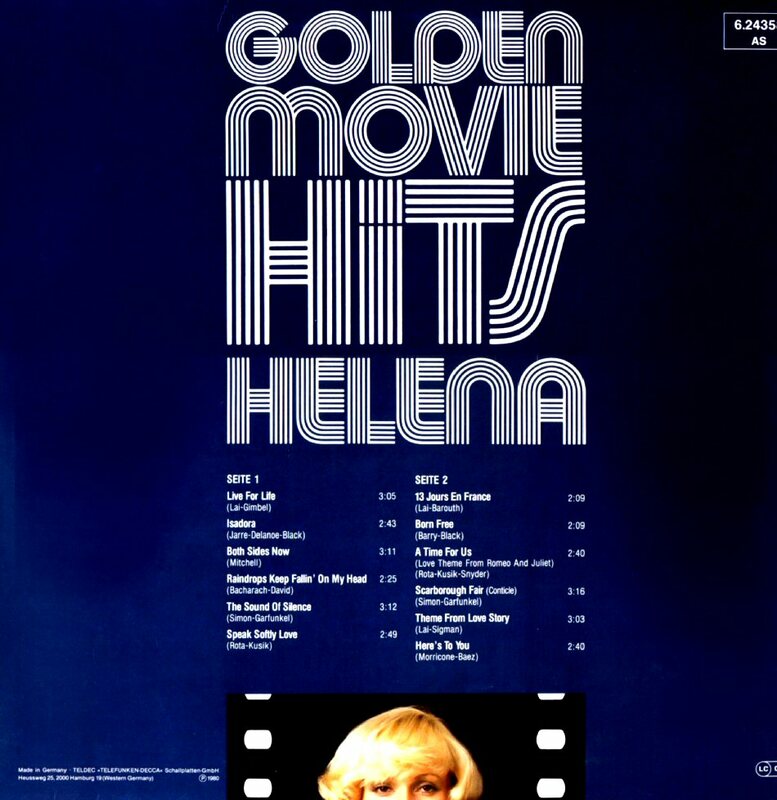 New LP in West Germany was entitled "Golden Movie Hits" and it was released by Decca in 1980. 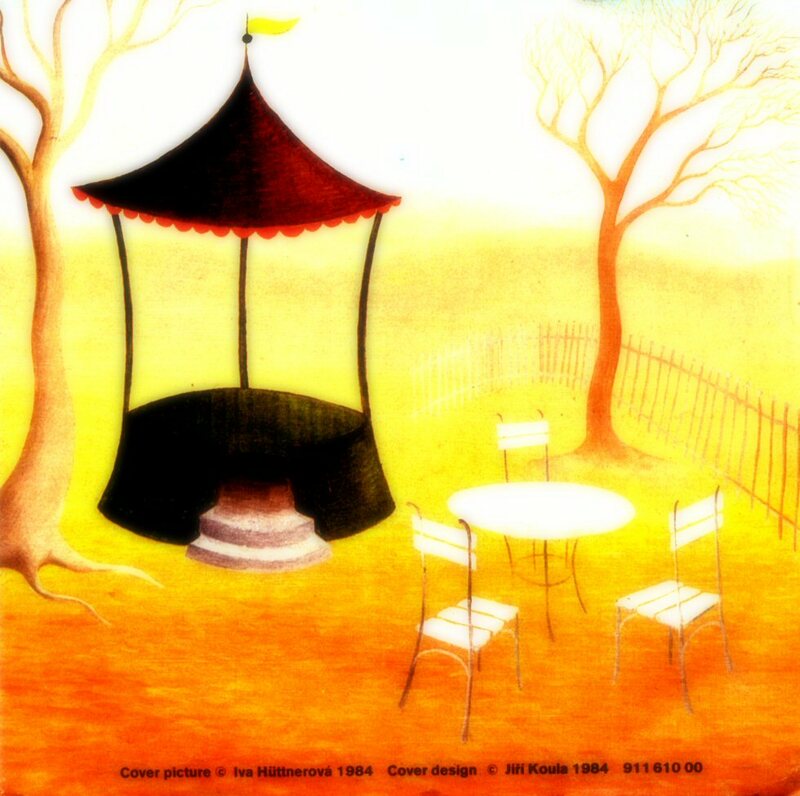 The album featured 12 classical film melodies recorded partly in Tokyo and partly in Prague in 1973. 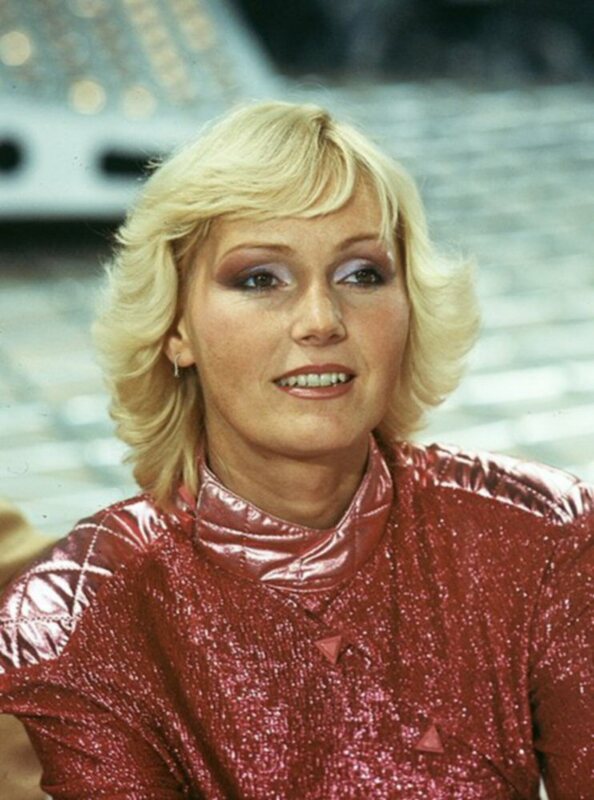 It was one more attempt to establish Helena as a pop star in West Germany. All songs were sung in English. 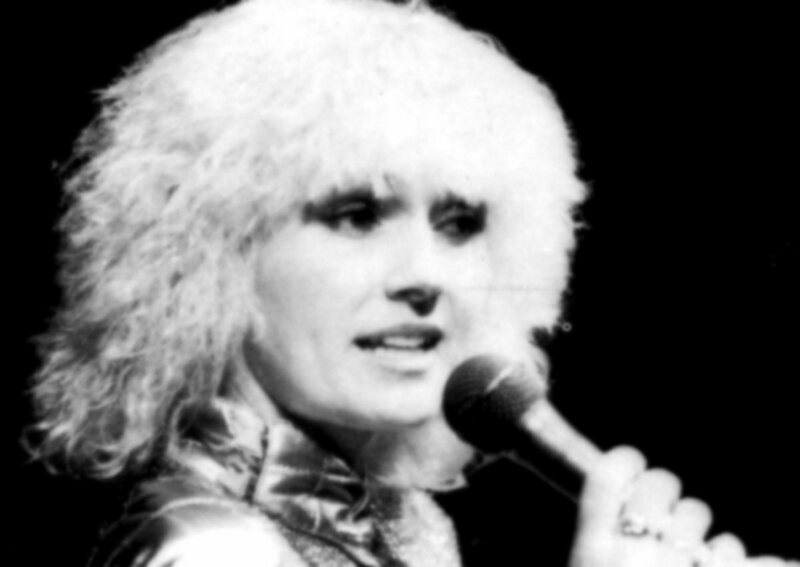 In 1980 Helena re-started a musical cooperation with Czech top singer Jiri Korn. 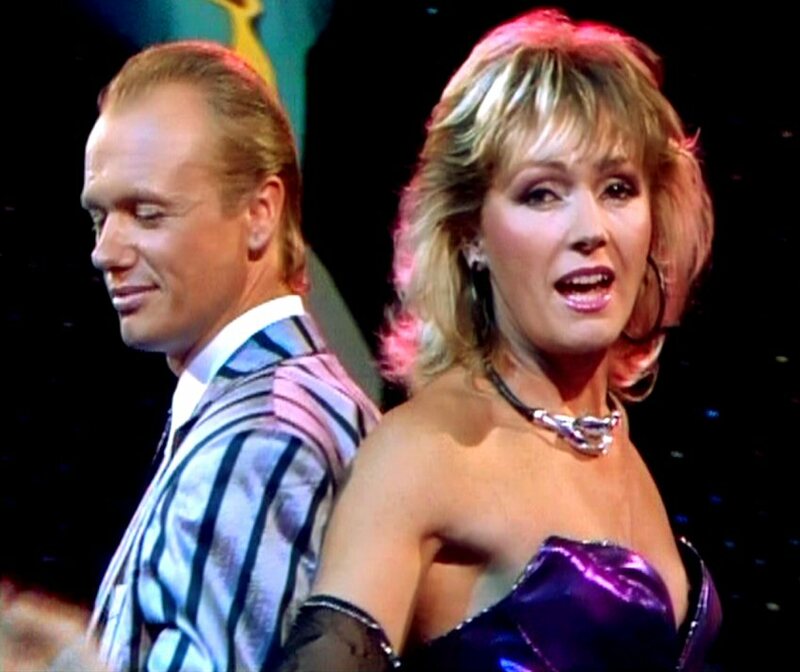 They made several TV shows together with lots of dance. They even toured East Europe as well as they recorded several new songs. 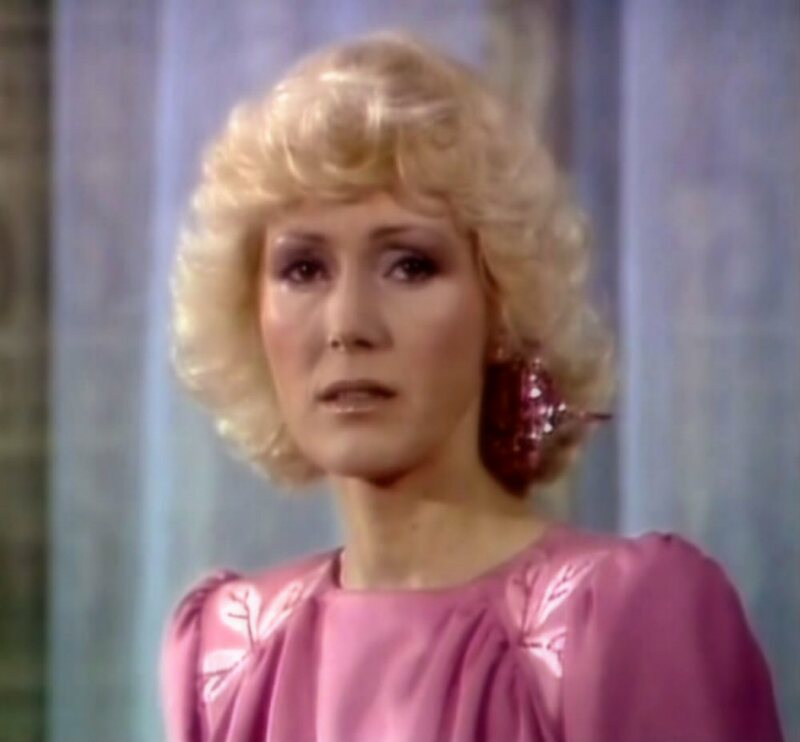 The song "Vim, ze te ztracim" (I know that I will lose you) was completed on October 1st, 1980 and even if it was a strong number it would never be included on any Helena album or single. 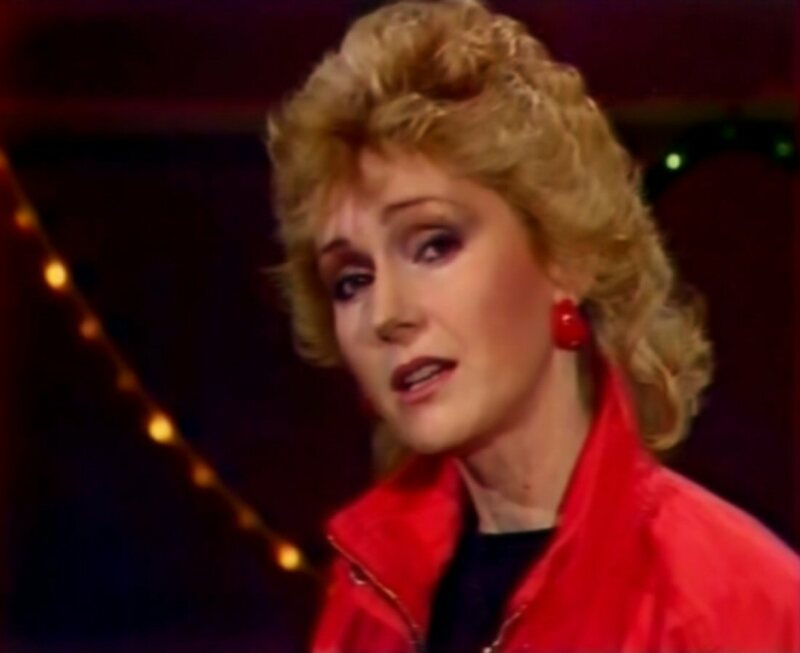 But Helena herself promoted the song on TV in autumn 1980. 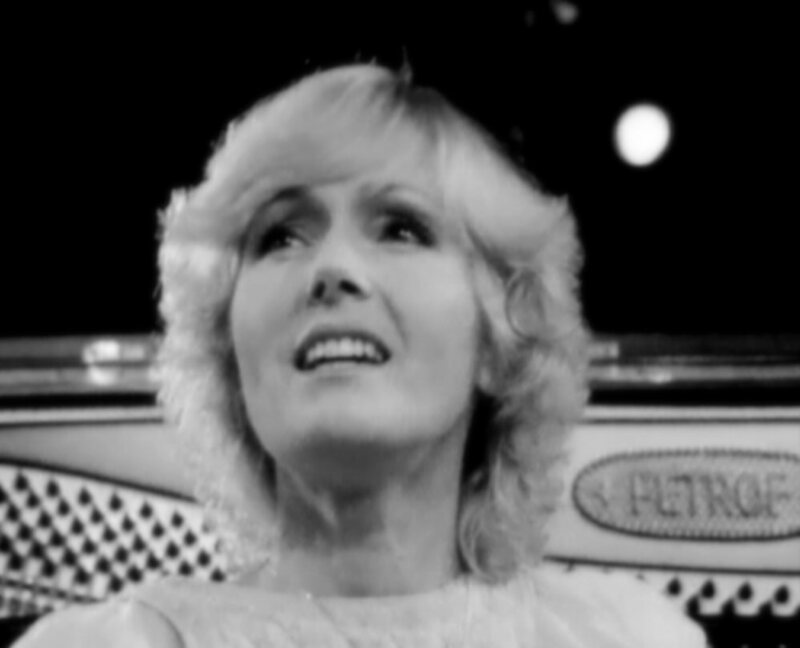 In the same show she presented her brand new Charlie Chaplin medley. A very nice wet photo session was taken by Pavel Jasansky. 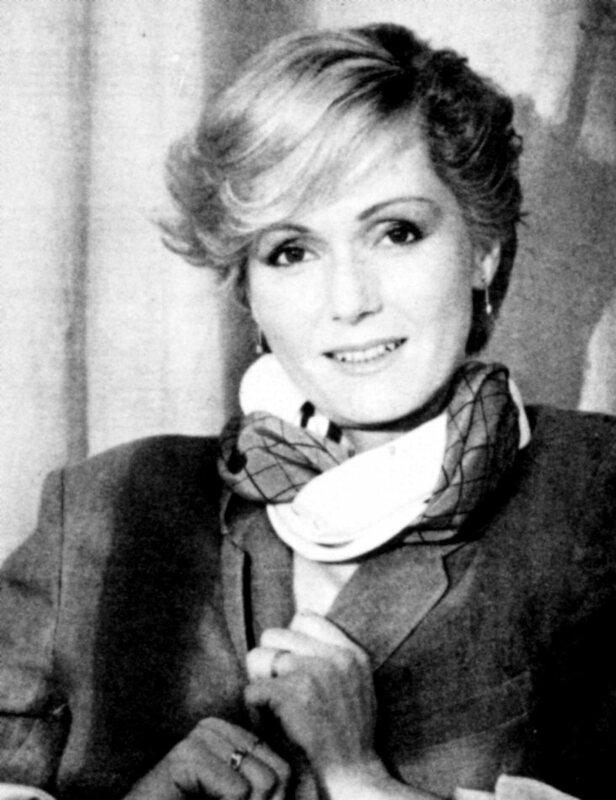 In autumn 1980 Helena was one of the top artists who performed on the gala concert during the Days of Russian culture in Czechoslovakia. 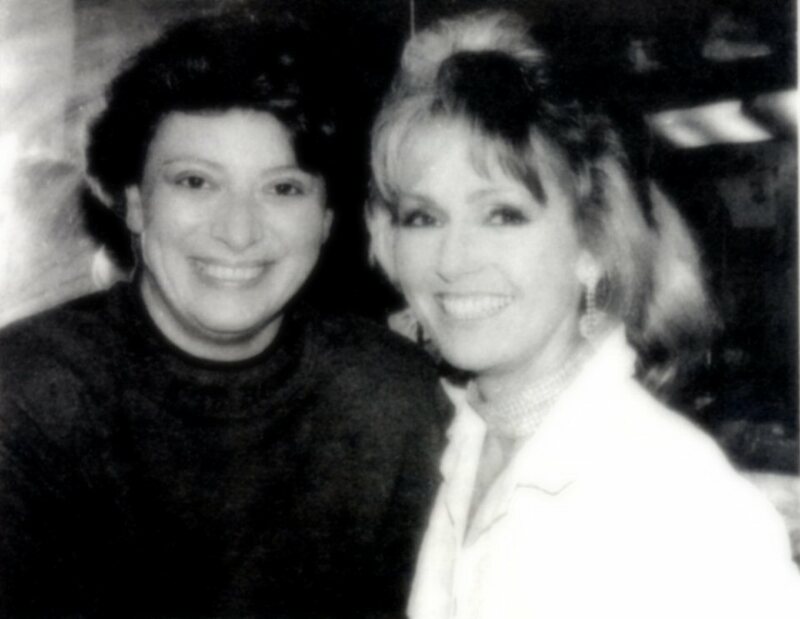 At the end of the year Helena released her own version of the world hit "Woman in Love" originally performed by Barbra Streisand. 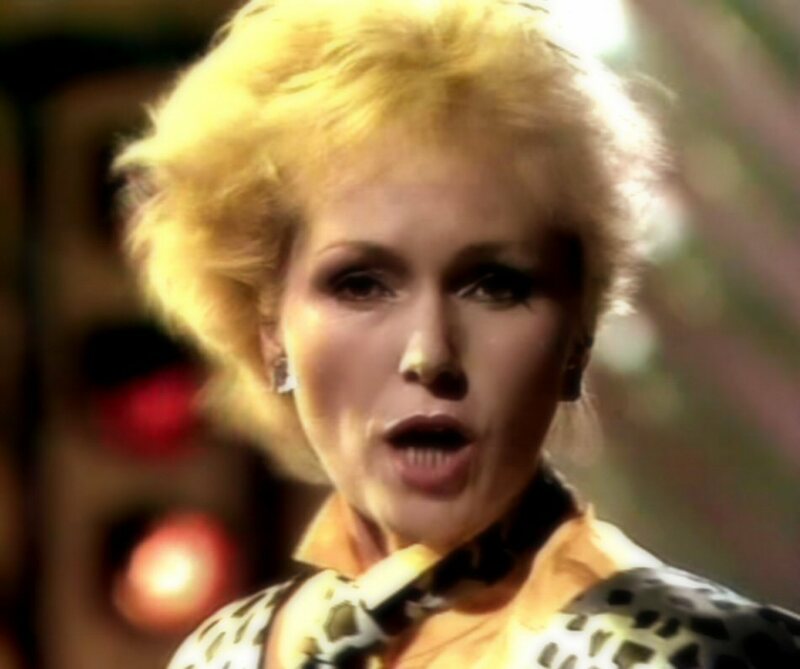 "Woman in Love" topped world charts in autumn 1980 and Helena was one of the first singers doing cover version of the song. 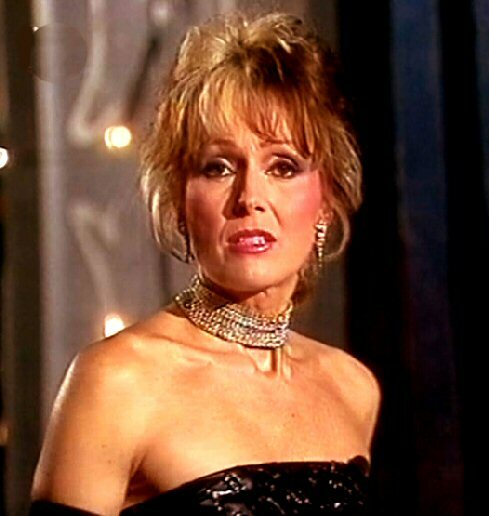 In 1980 Helena appeared in three New Year's Eve shows - on Czechoslovakian, East German TV and on ZDF Hannover. 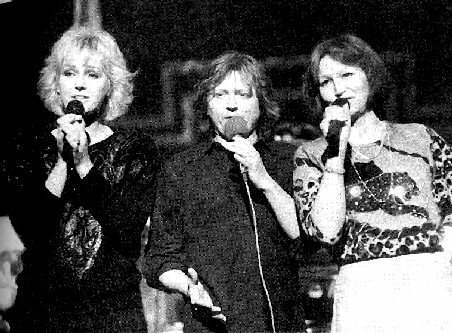 On Czechoslovakian TV Helena performed the ELO (Electric Light Orchestra) hit "Don't Bring Me Down" together with Petra Cernocka, Vera Spinarova and Jiri Schellinger. 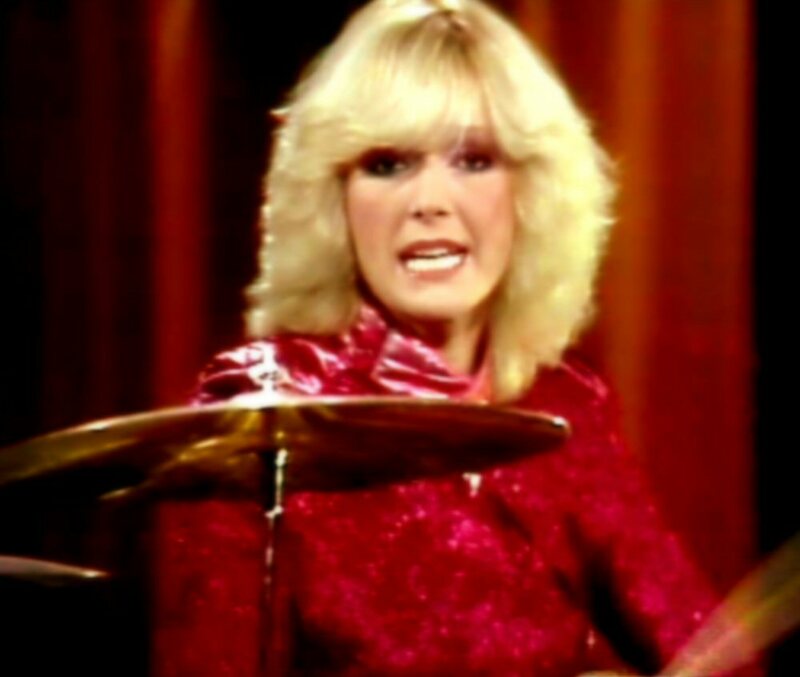 Helena sang and played drums. 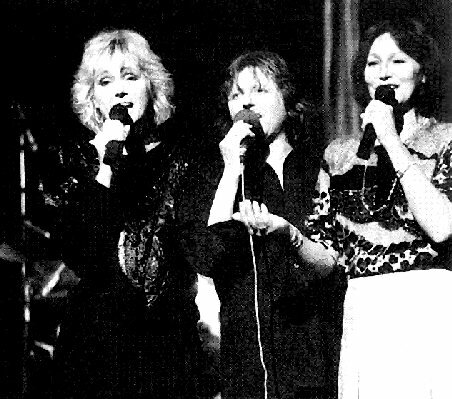 The ABBA hit "The Winner Takes It All" written by Björn Ulvaeus and Benny Andersson did not brought only ABBA to the top on the charts all over the world but even made Helena very successful on the Czechoslovakian and Polish hit lists. The single with Czech version of the song entitled "A ty se ptas, co ja" (And you are asking how I am) was released at the beginning of 1981. There were several different cover editions. 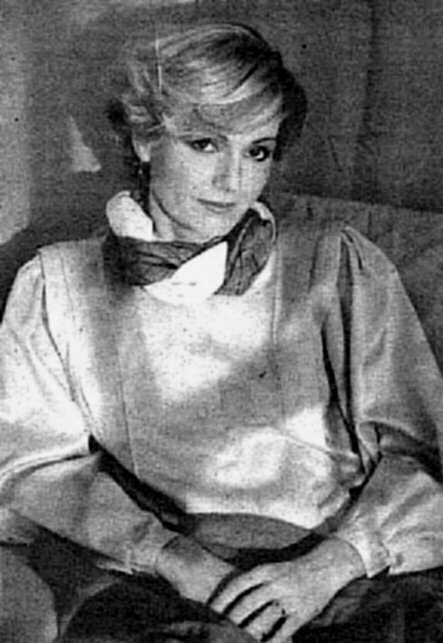 In spring 1981 Helena performed in famous Friedrichstadtpalast in Berlin. The second single promoting the forthcoming new album featured the duets with Jiri Korn. 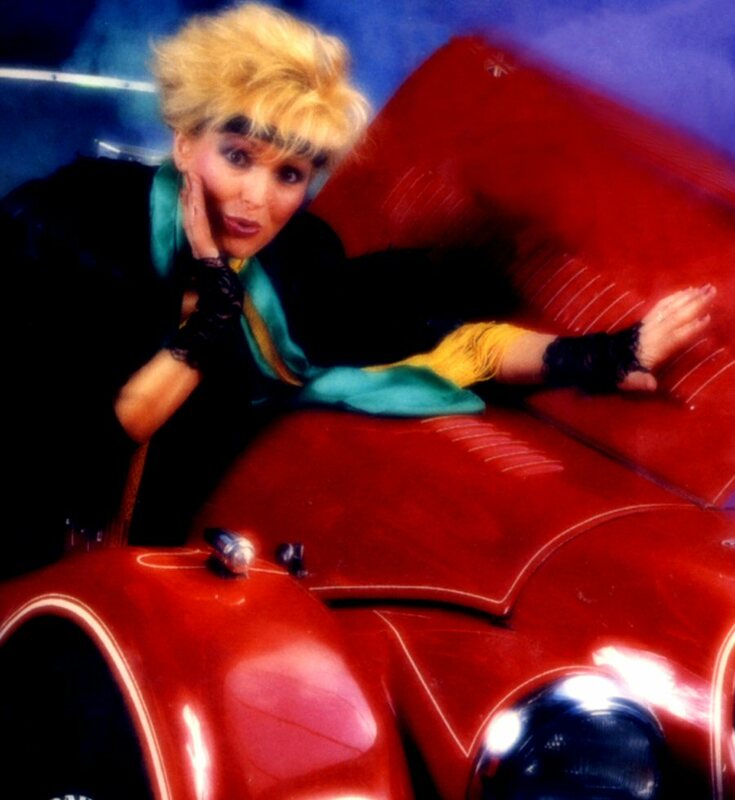 On the side A there was a Czech cover of the well-known hit of Andy Gibb "Rest Your Love On Me" and on the side B the song "Halo, halo taxi". 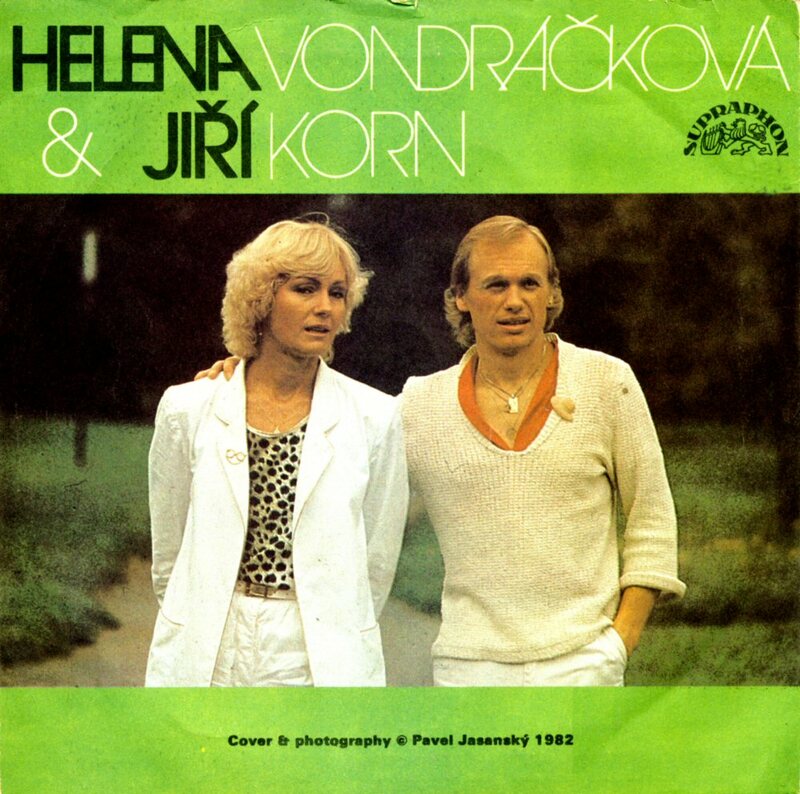 Both songs were recorded by Helena and Jiri in December 1980. 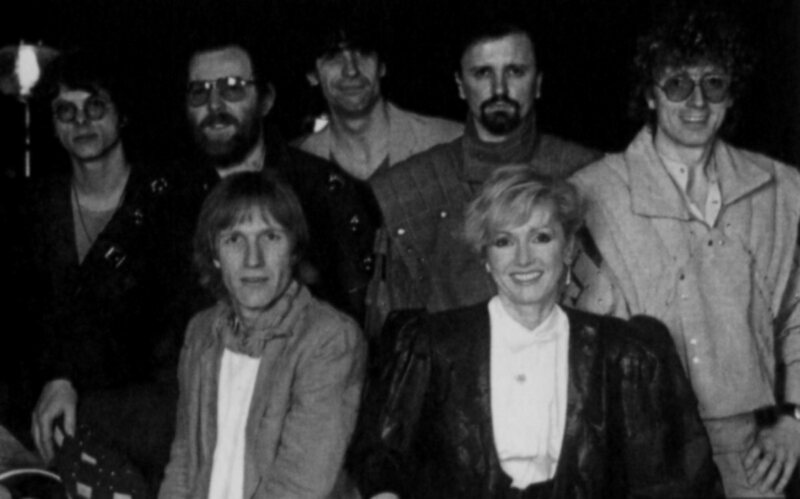 The main recording sessions for the new album were held between January and March 1981. 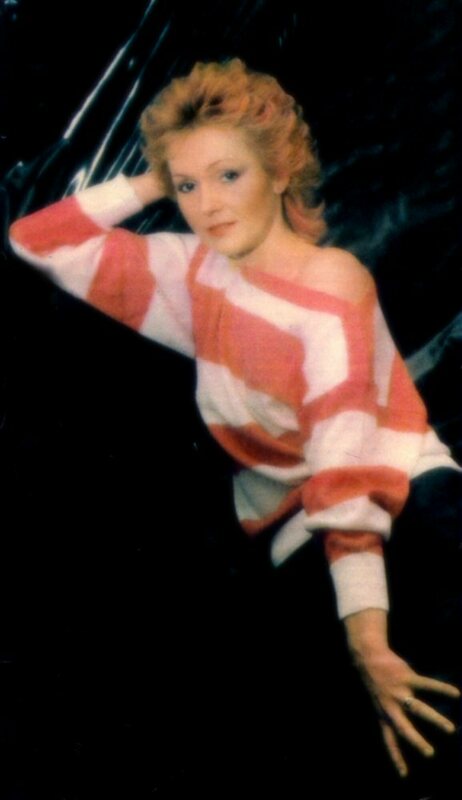 Two songs which would be included on the new album had been recorded already in October and December 1980. 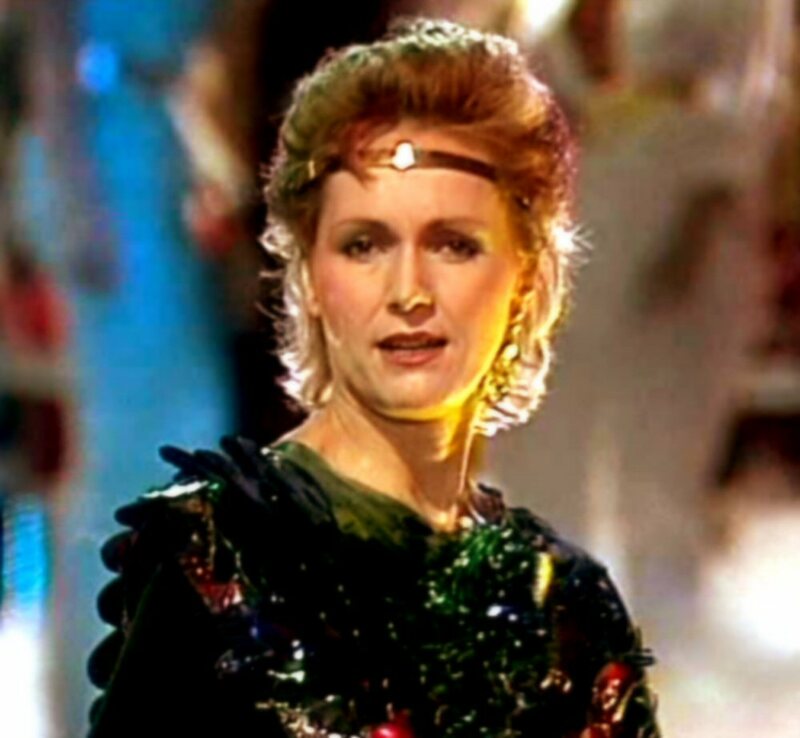 The songs were Helena's cover versions of two smash world hits: "The Winner Takes It All" (ABBA) and "Woman in Love" (Barbra Streisand). Totally 12 songs were included on the album. Helena filmed special video for the title song from the new album "Sblizeni". 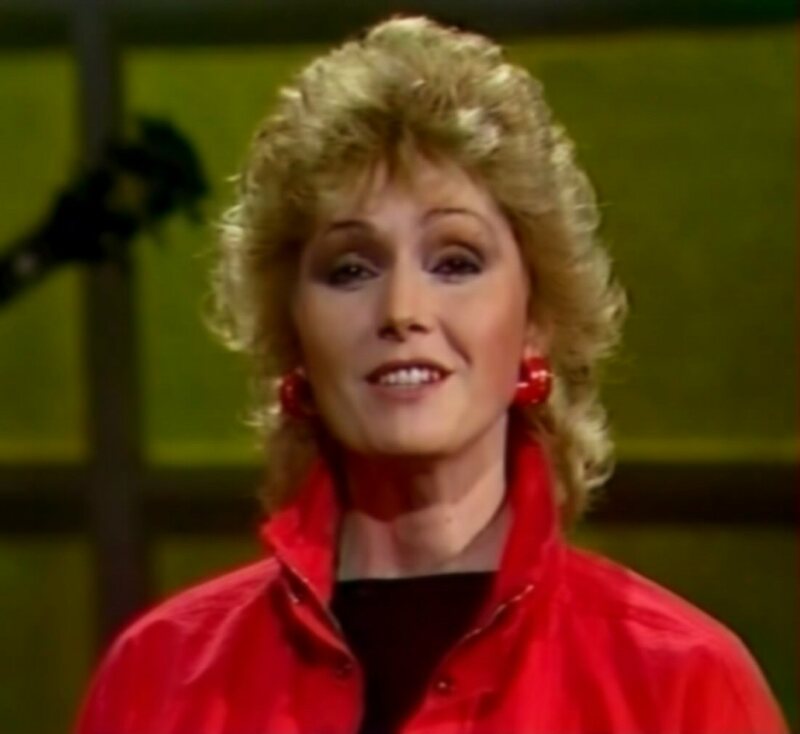 At the beginning of July she recorded a new song "Hej ty tam" (Hi, you there) well-known as the cover of the Dutch pop group Maywood 1980 hit "Late at night". 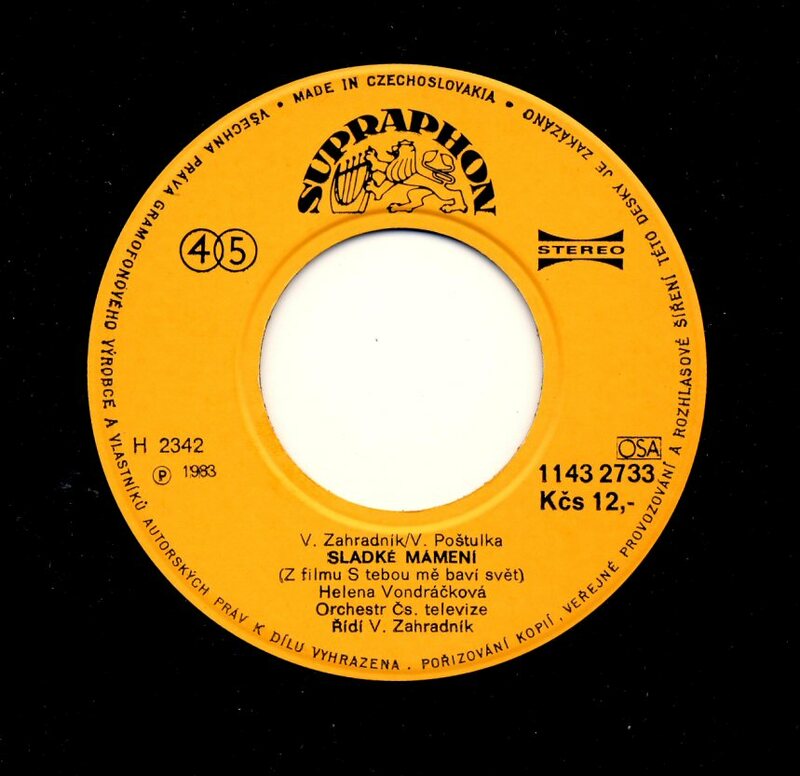 The title song "Sblizeni" from the new album was included on the B-side of the single "Hej ty tam". 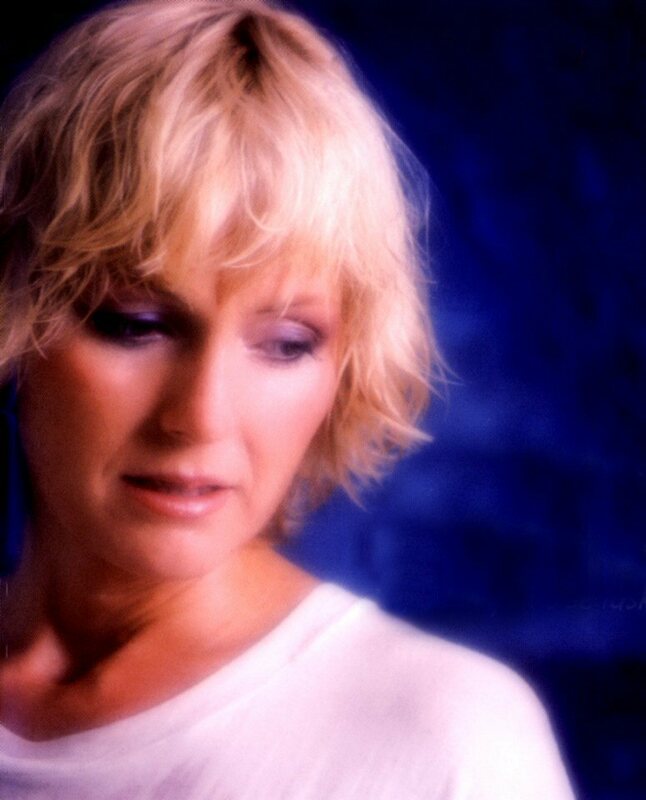 In September there was one more recording session - this time Helena recorded her own version of Alla Pugacheva's hit "Byl jdnou jeden houslista". 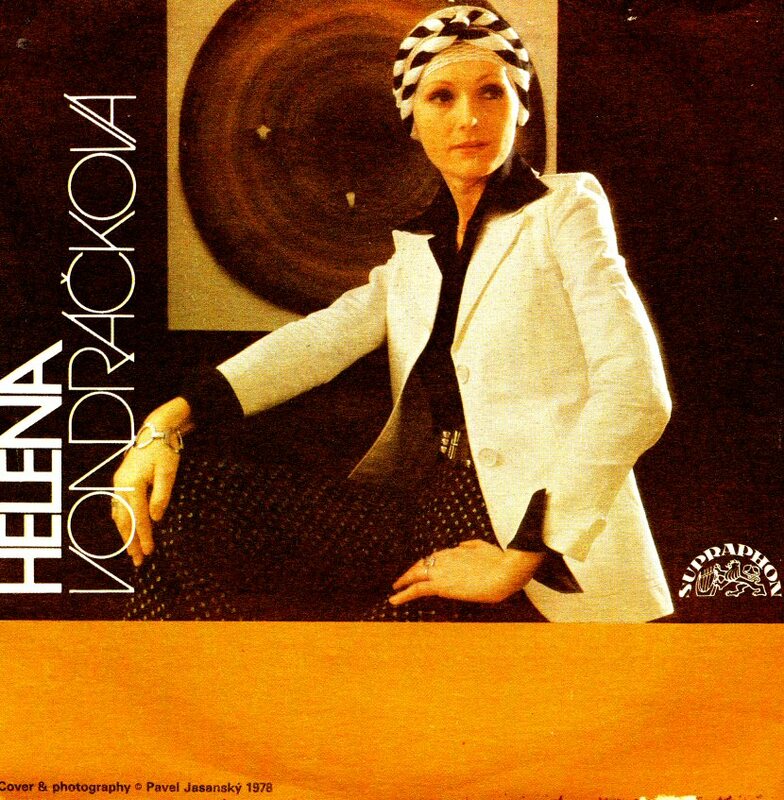 Helena's album with Billy Joel's songs recorded and released in 1979 in West Germany saw its Czechoslovakian release in 1981. The LP was released in two versions: the first with German title "Helena singt Billy Joel" and the second with Czech title the biography of the singer on the back cover. 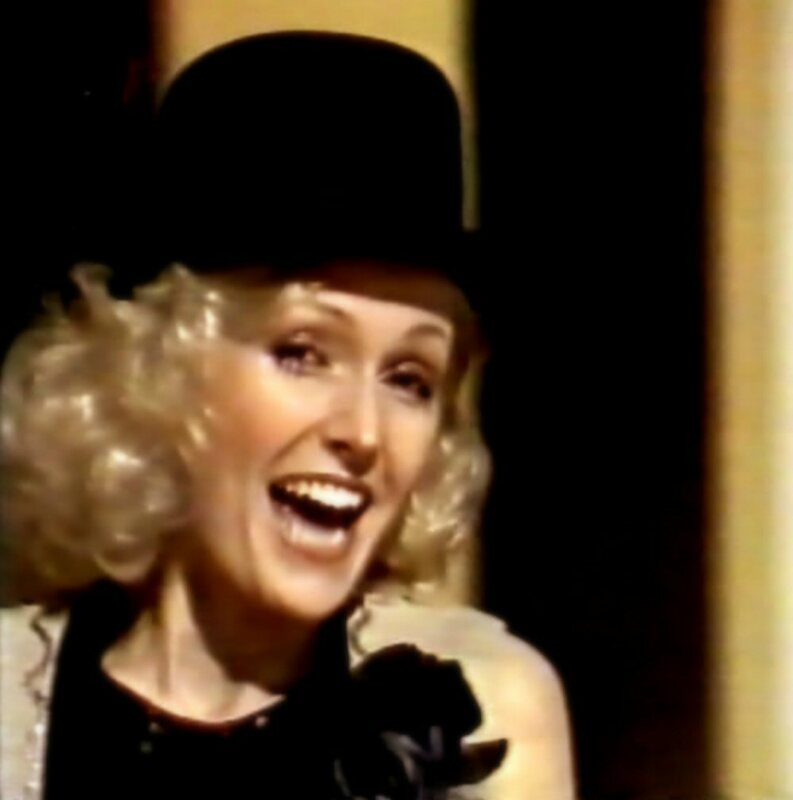 Helena did not attend the annual "Czech Nightingale" gala in Prague in December 1981 as she was touring together with Jiri Korn. But she was interviewed live on a big screen and even performed her latest hit "A ty se ptas co ja" (The Winner Takes It All). 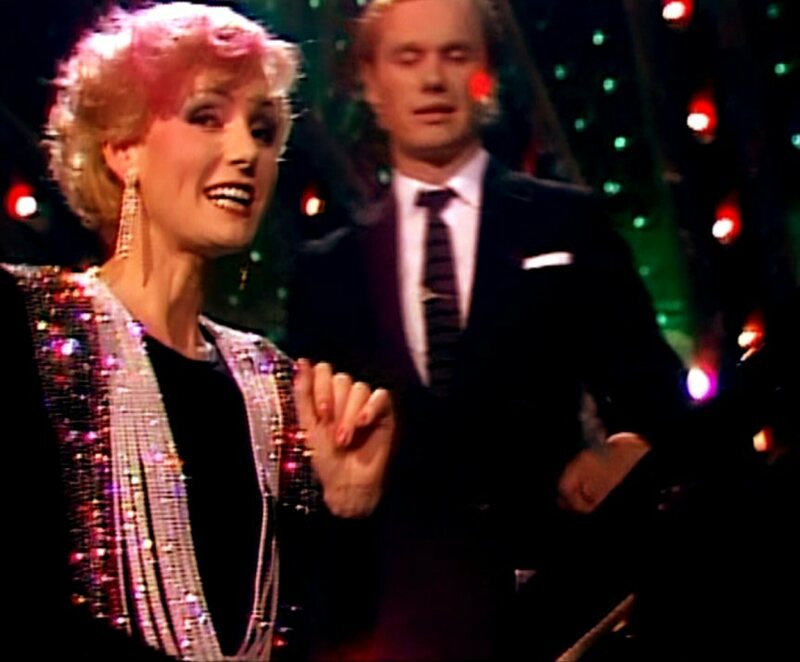 Helena performed together with Jiri Korn in the New Year's Eve's show on Czechoslovakian TV. 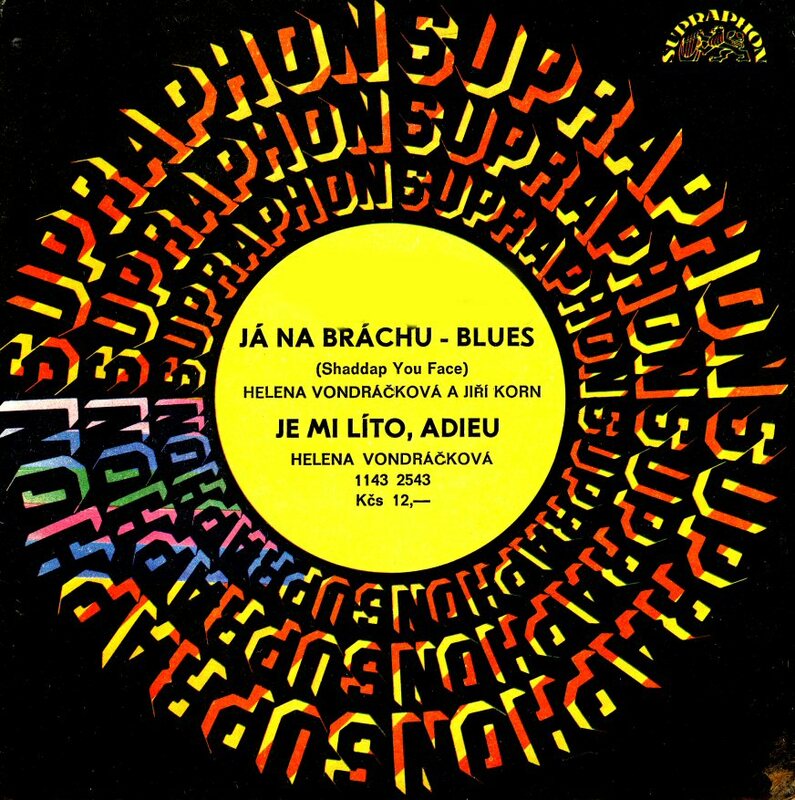 The first single release in 1982 featured Helena & Jiri Korn hit "Ja na brachu - blues" (Shaddap Your Face) backed with "Je mi lito, adieu" sung by Helena. 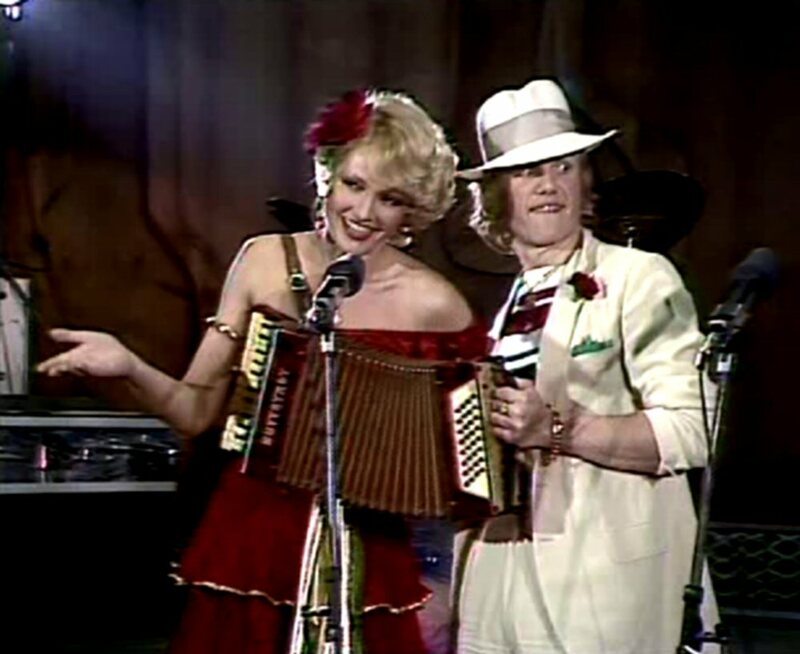 The song "Tancit pry je krasne" (They say, dancing is nice) performed together with Jiri Korn was the first single selection from the album "Zrychleny dech". 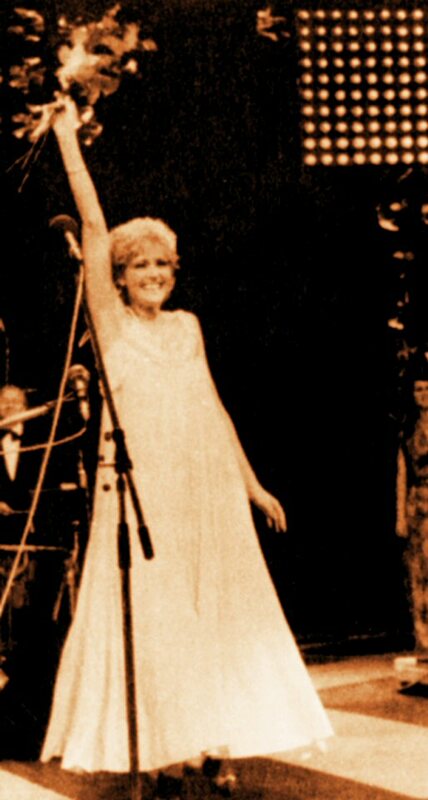 In 1982 Helena participate in the song festival "Bratislavska lyra" in the capital of Slovakia. 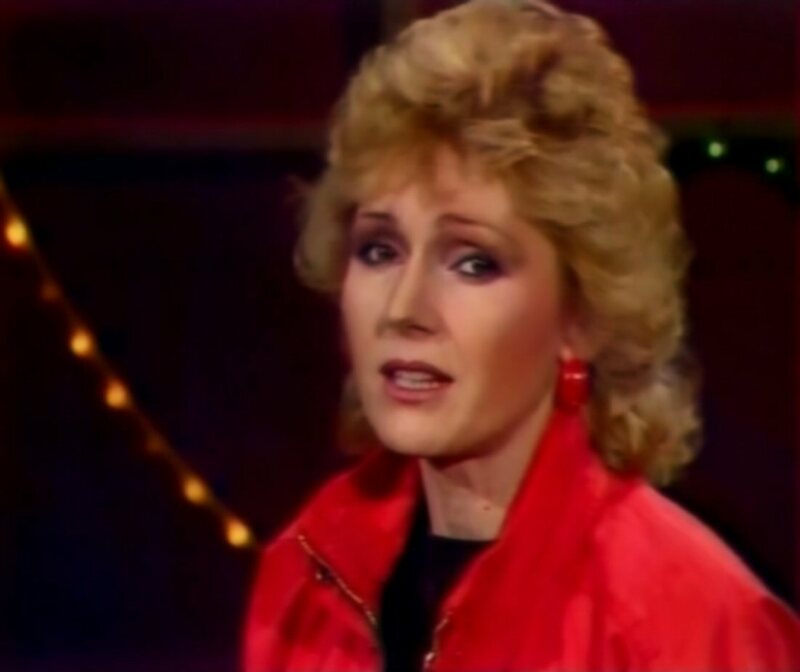 Her performance of the hit "Sblizeni" was awarded with second prize - the Silver Lyra. The year 1982 brought a new album and a new image. Helena started recording sessions at the beginning of the year with producer Vitezslav Hadl. 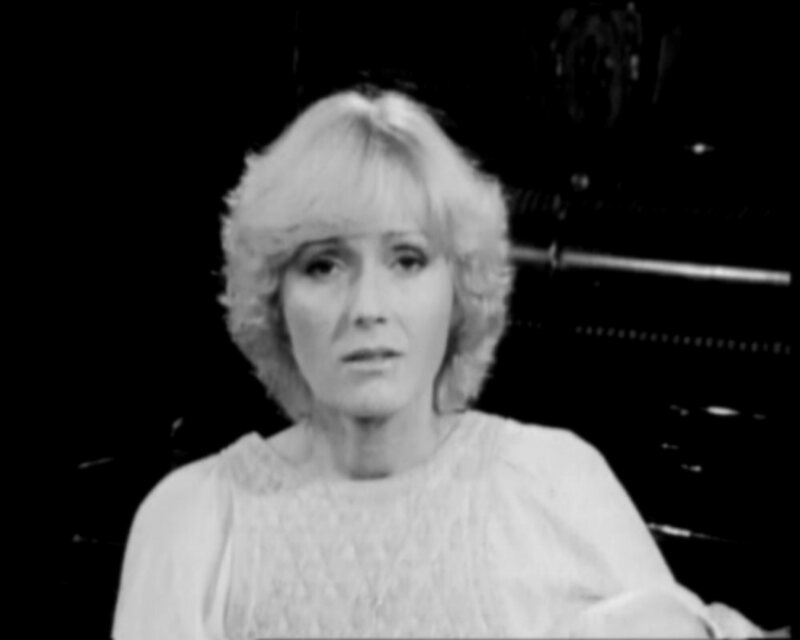 Both new image and sound were created for Helena who became more up-to-date to the new era of the 1980s. The album "Zrychleny dech" (Accelerated breath) with 12 songs was completed at the end of April 1982 and released in the late spring. The album featured two world hits: "For Your Eyes Only" from the twelfth spy film in the James Bond series and "Private Eyes", US #1 hit performed originally by Hall & Oates. 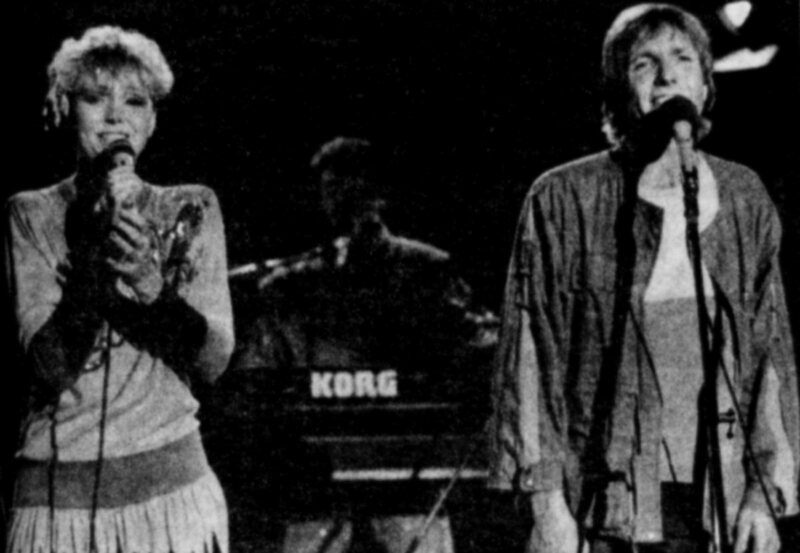 Two singles with songs from the album would see their release later in 1982. Another single selection from the album "Zrychleny dech" featured the beautiful song - "Jsem, jaka jsem" (I am as I am) b/w "Zaplatis vic, nez mas" (You'll pay more than you have). 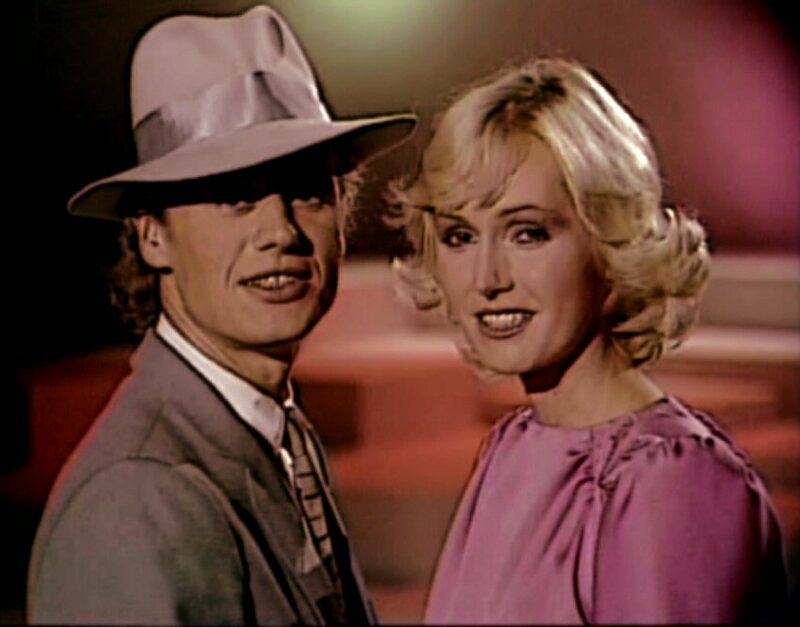 Helena and Jiri Korn were dancing and singing hosts in a TV show entitled "International revue" which was made as a cooperation between Czechoslovakian TV and German TV "Baden Baden" in 1982. Helena and Jiri performed several songs and sketches and among the international artists there was the French super star Mireille Mathieu. 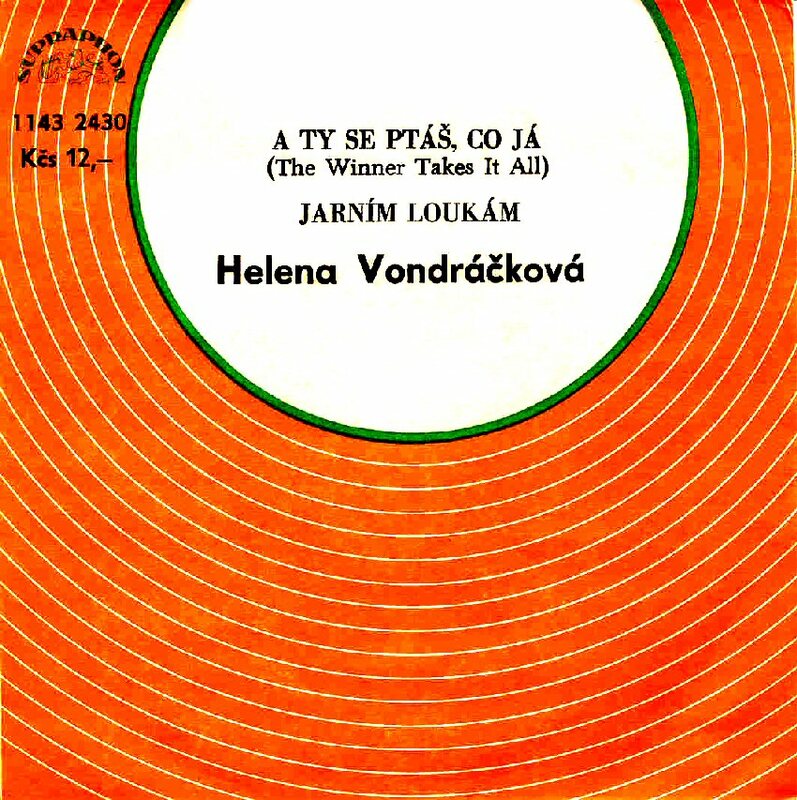 The compilation entitled "A ty se ptas co ja" (Czech version of the ABBA hit "The Winner Takes It All") saw its release as a cassette in Czechoslovakia in 1982. 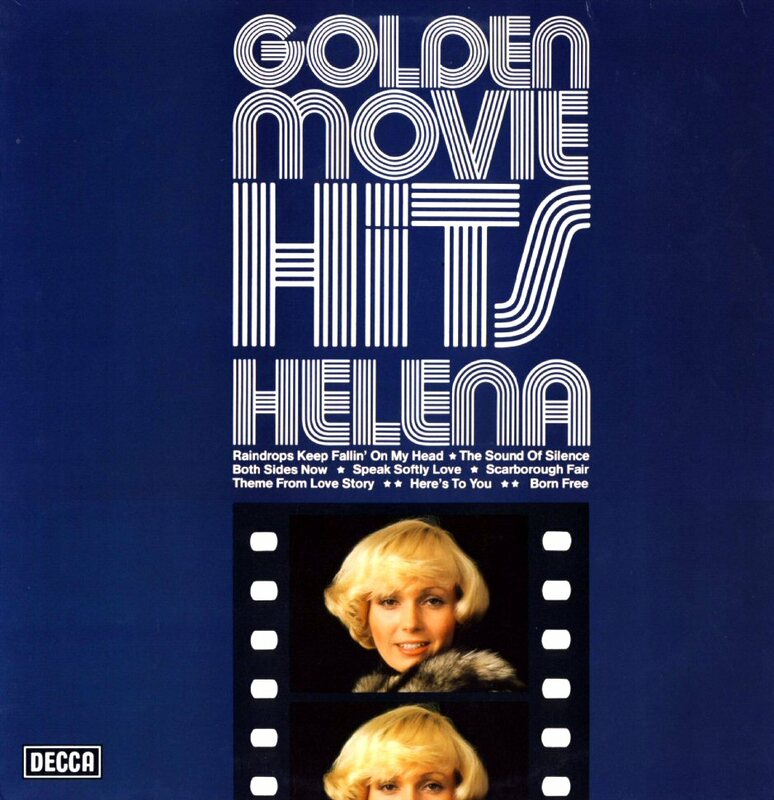 The compilation featured 16 Helena hits - mostly covers of world hits. Helena performed here Czech versions of Lennon -McCartney's "Honey Pie", Eurovision hit "Save Your Kisses for Me", Roberta Flack's evergreen "Killing me softly", Barbra Streisand and the brothers Gibb's "Woman in Love", Goombay Dance Band's "Sun of Jamaica", Melanie Safka's "What Have They Done To My Song Ma", Barry Gibb's "Rest Your Love On Me", Donna Summer's "McArthur Park" and of course ABBA's "The Winner Takes It All". 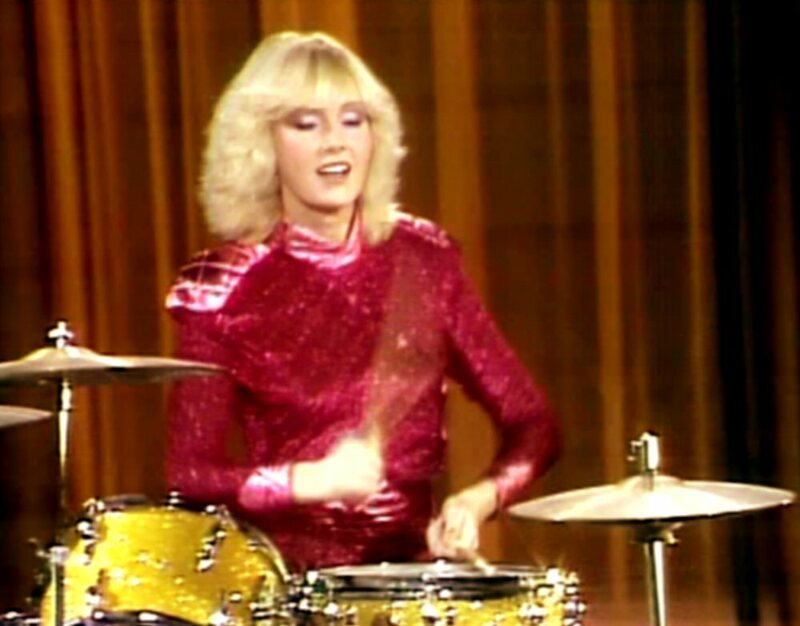 The last TV performance in 1982 was in the New Year's show "Silvestr 1982". Helena performed a medley of her 10 greatest hits. 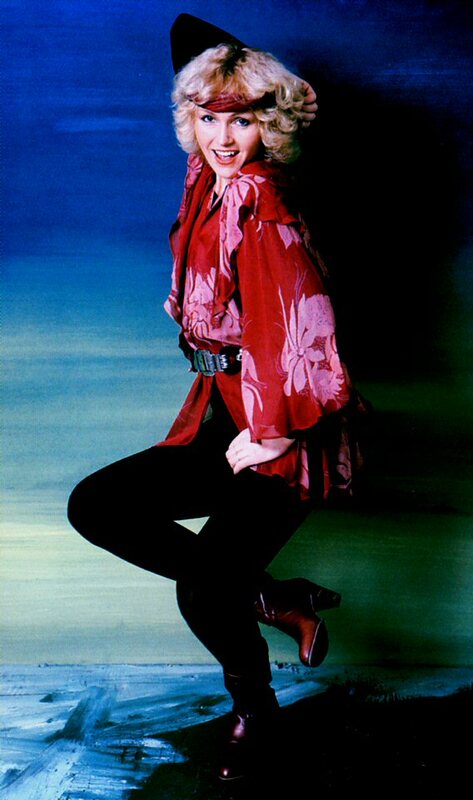 The medley was called "Rytmus" and it was officially released on Helena's CD "Platinova Helena" in November 2002. 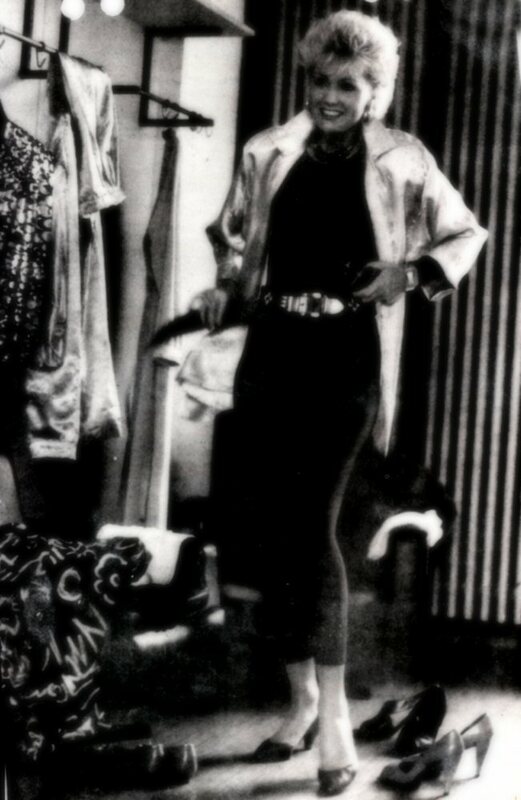 The year 1983 was very important for Helena and her private life. 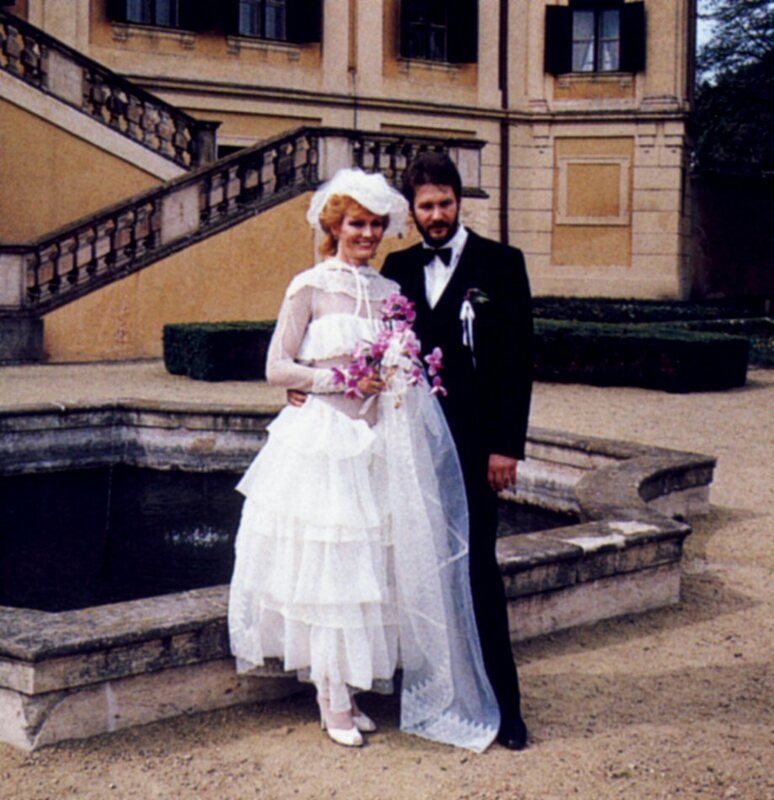 On April 28th she married German rock musician Helmut Sickel. 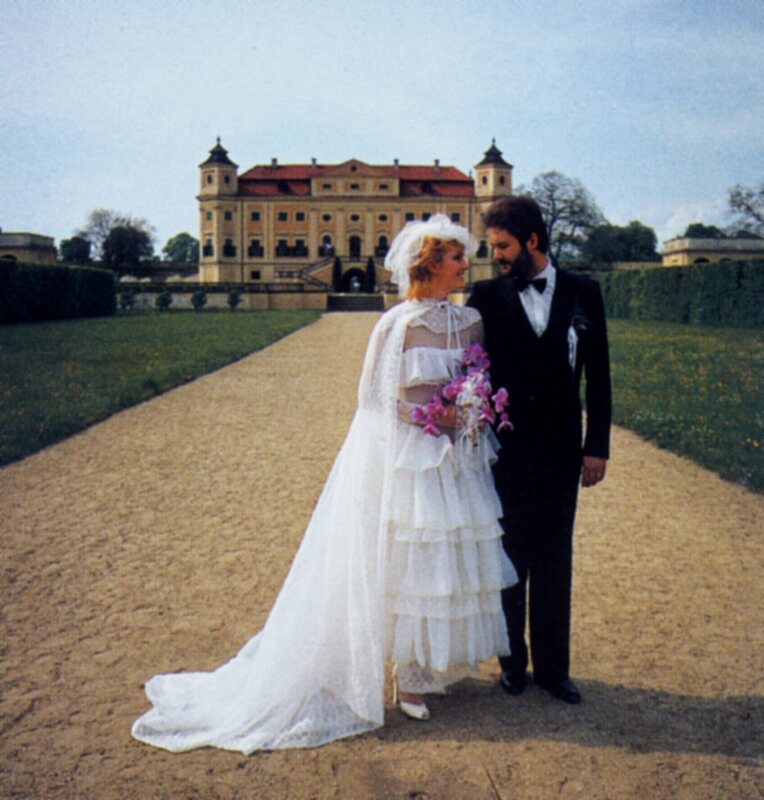 The wedding was held in the palace in Straznice in southern part of Mähren. After the honeymoon she got back work. Helena toured in Sovjet Union and East Germany. 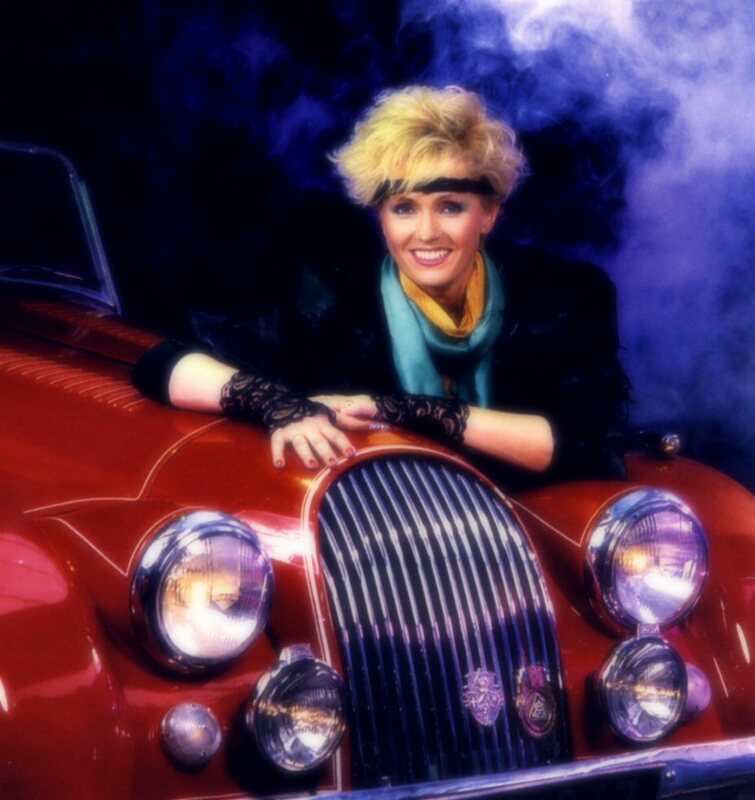 In Berlin she performed in the TV show "Ein Kessel Buntes" in the summer 1983. 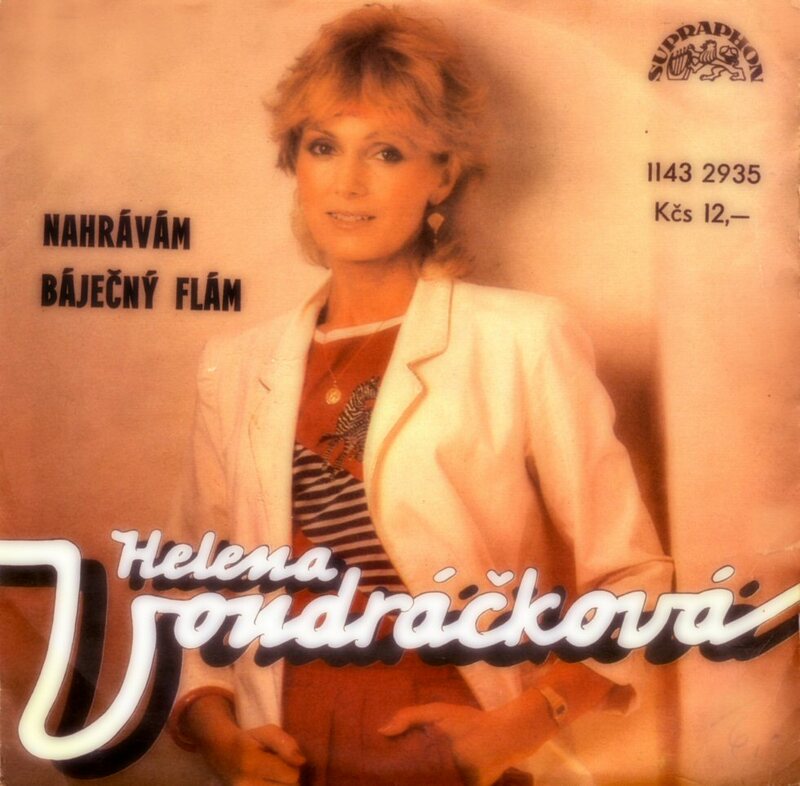 A double compilation album entitled "Prelety" (Flyovers) was released in 1983 and it featured 28 songs - mostly Helena's greatest hits so far. The release contained even special extras as a big poster and a booklet with pictures and full discography. 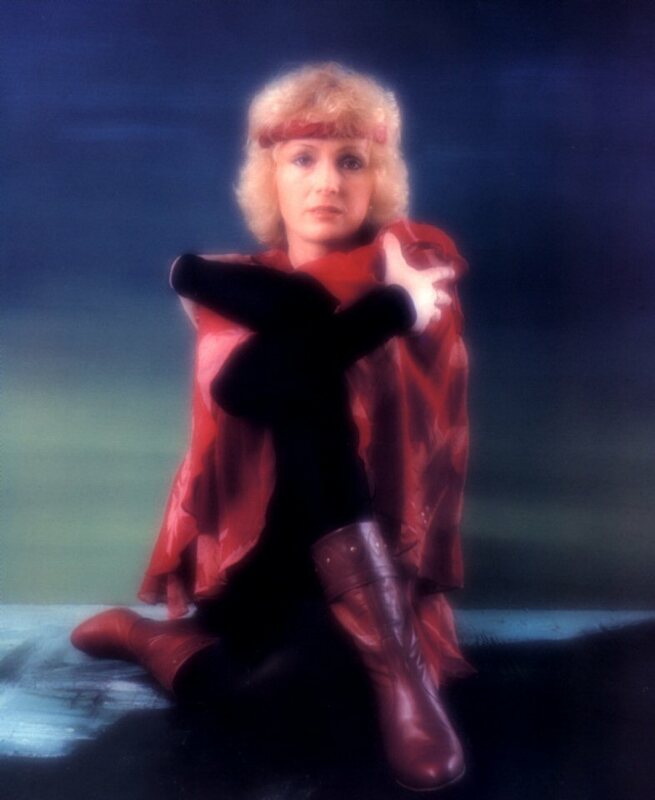 Special photo session for this album had been taken by photographer Pavel Jasansky in 1982. 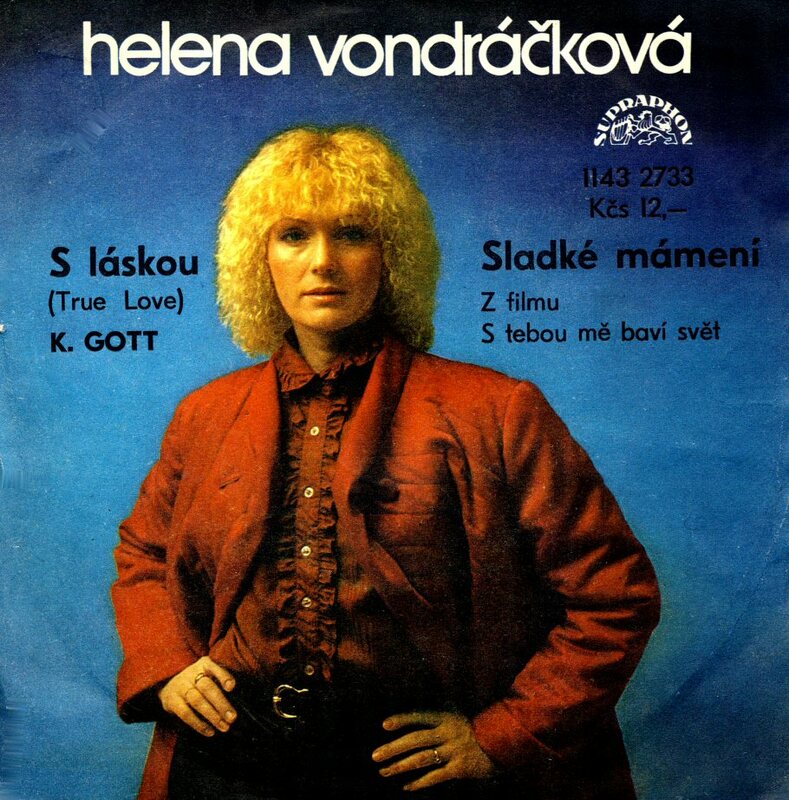 One of the most successful Helena hits ever "Sladke mameni" (Sweet nuthins) was released as a single together with the song "S laskou" (duet with Karel Gott) on the flipside. 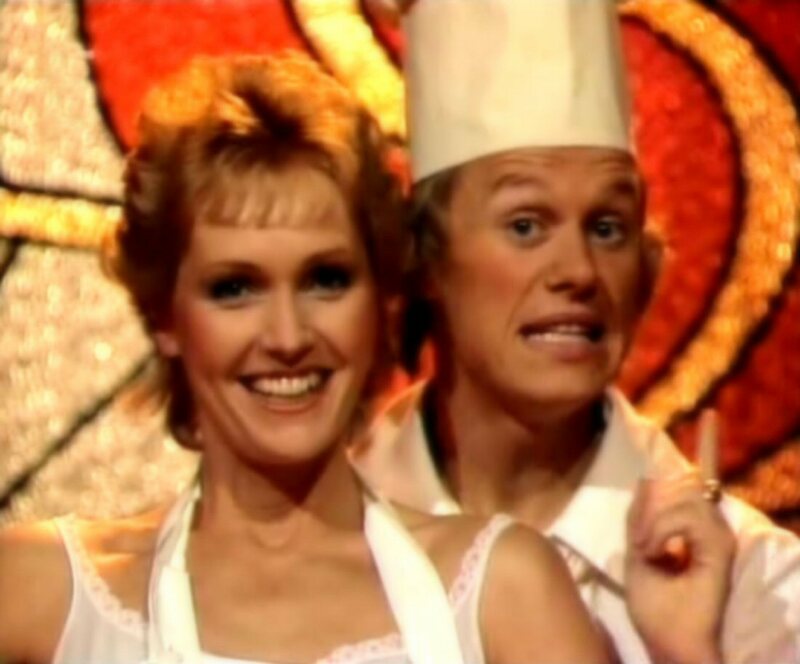 "Sladke mameni" was featured in the Czech movie "I enjoy the world only with you" (S tebou me bavi svet) which was a very successful comedy in 1983. Helena re-recorded the song in 2001 and added as a bonus song on their album "Helena 2002". 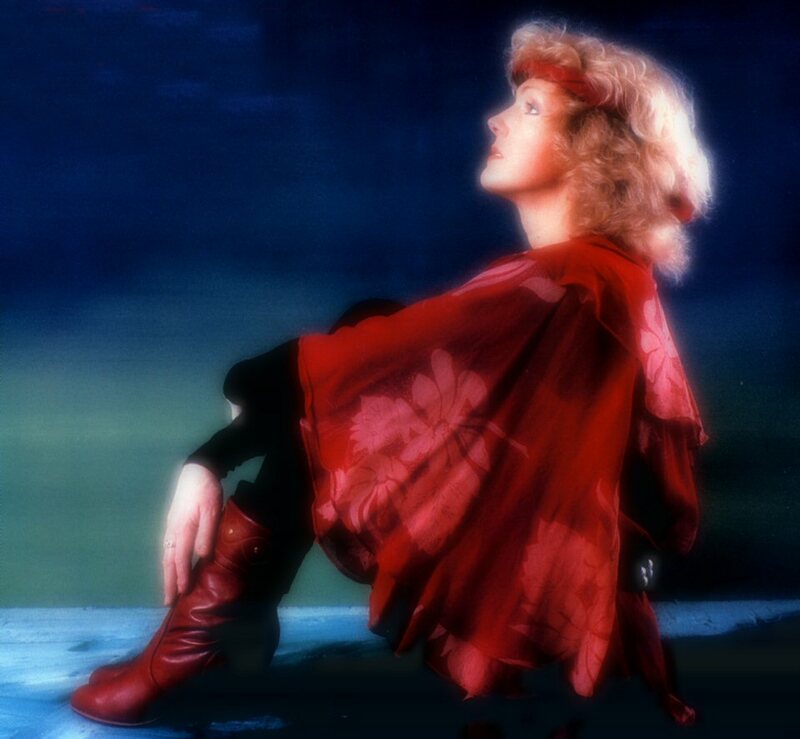 The photo session arranged by the photographer Alan Pajer in 1983 would appear on several single covers. 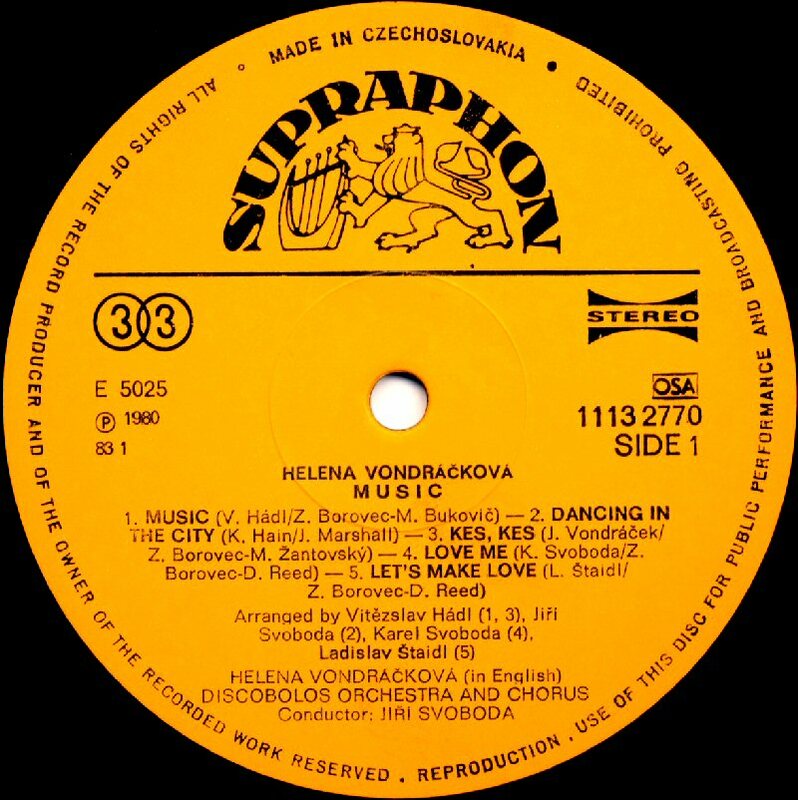 The second single released by Helena in 1983 featured the disco song "Je to maly svet" (It's a little world) from the 1982 album "Zrychleny dech". 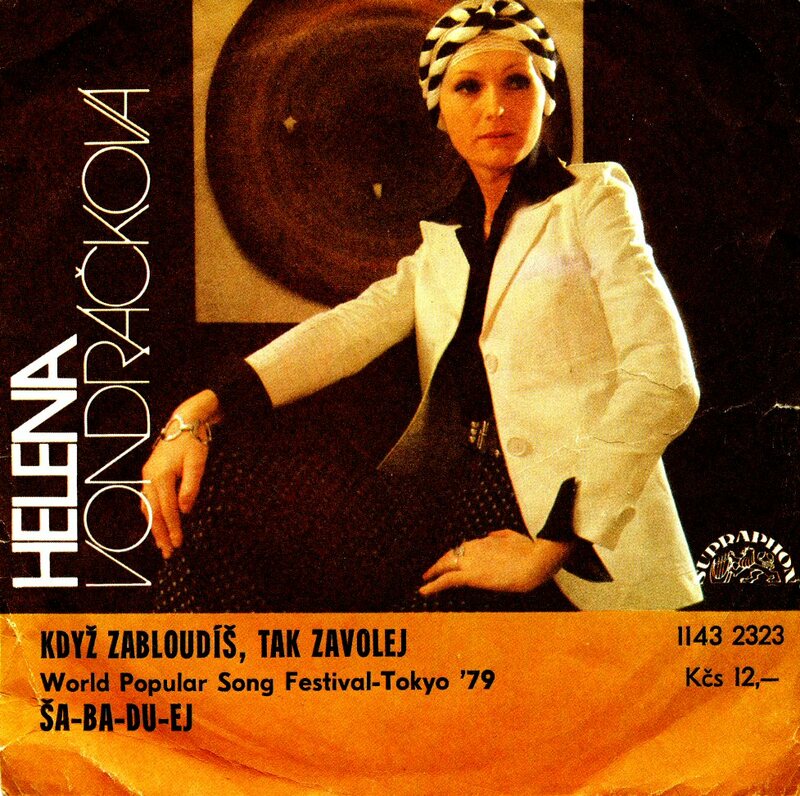 The B-side of the single contained a new song which Helena had recorded at the beginning of June 1983, entitled "Za klobouk si dej trapeni" (A trouble with the hat). The latter song would not be released on any album and first in 2004 it appeared as a bonus track on the remaster CD "Ode mne k tobe". The collaboration with Jiri Korn brought two new songs: "Slunce" (The Sun) and "Ja se neptam" (I don't ask) which were released on the single at the end of the year. The single was released with 4 different covers. 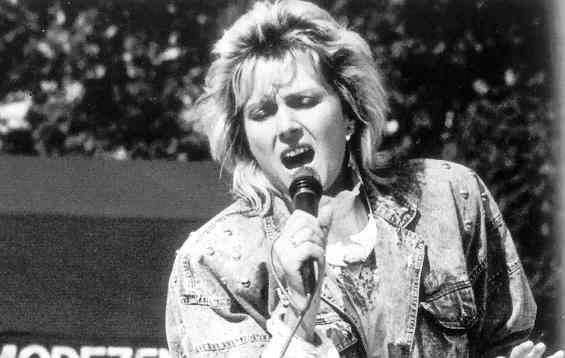 The year 1984 was really good for the singer and her music. 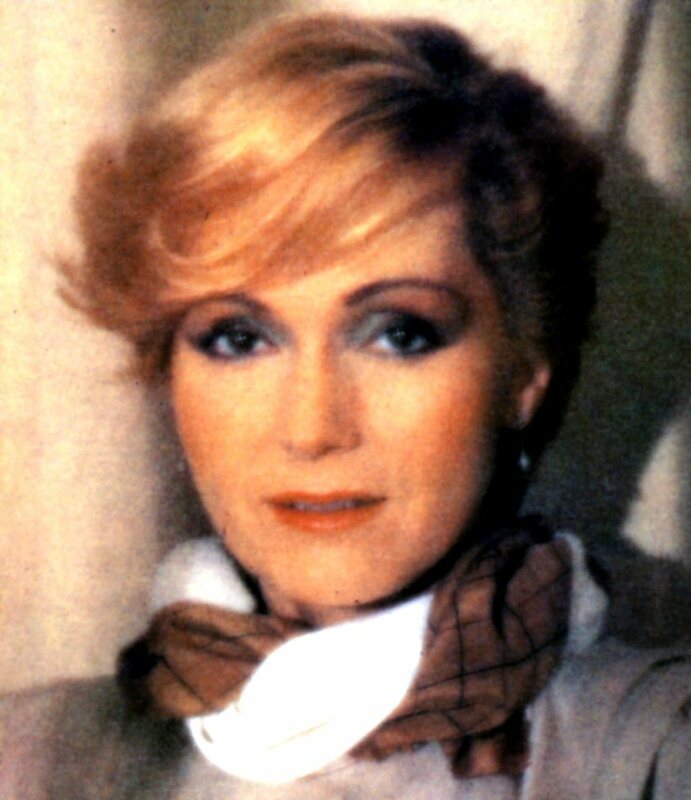 It brought one of her best albums she recorded in the 1980s and a smash hit written by her husband Helmut Sickel "Cas je proti nam" (The time is against us). 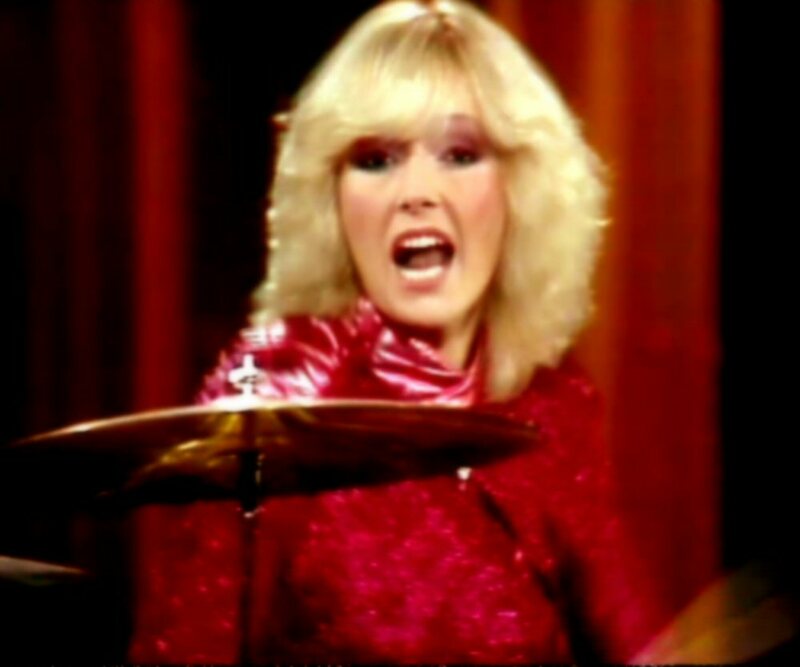 The song was released as a single together with Donna Summer's hit "She works hard for the money" in Czech entitled: "Nahodny znamy". In March 1984 all material for a new album was completed. 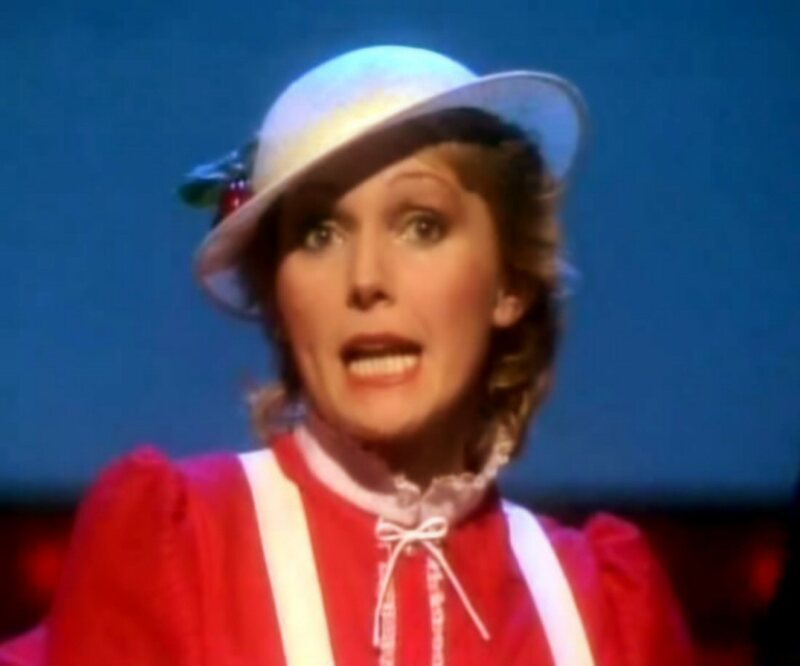 It got title "Ode mne k tobe" (From me to you) and contained 12 songs featuring a Czech language cover of Agnetha Fältskog's hit "The Heat is On" ("Ani nahodou"). Helena re-recorded "The Heat Is On" one year later in English language version for Helena's international album "I'm Your Song". Most of the songs on the album were completely new and written by the best Czech pop composers. 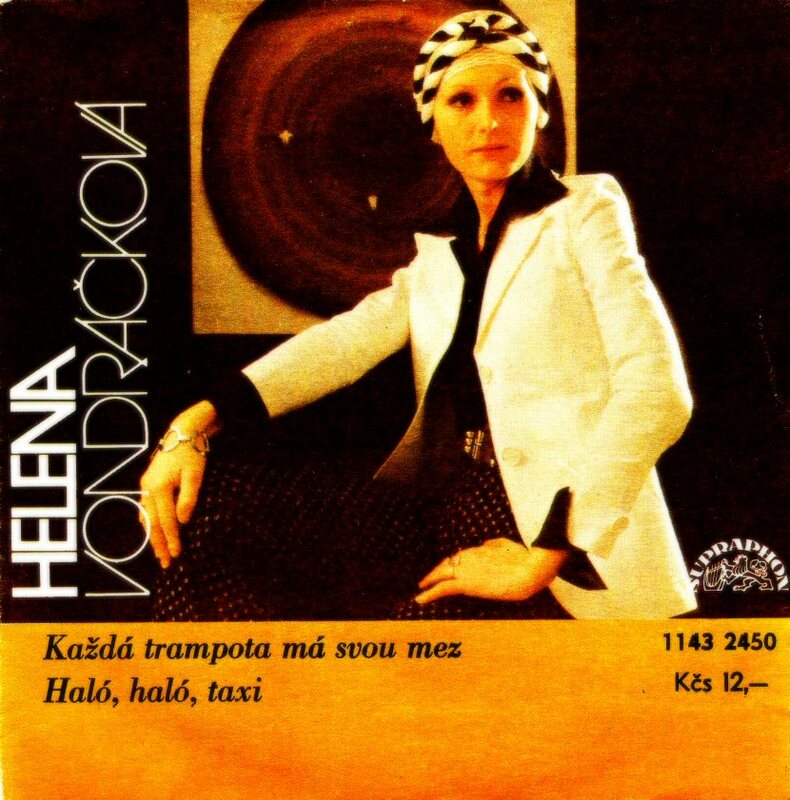 The album "Ode mne k tobe" still remains one of the best Helena albums released in the 1980s. A new single featured a new song (not available on the LP) "Nahravam" (I am recording) and a disco number "Bajecny flam" (Wonderful party) from the album "From Me To You". 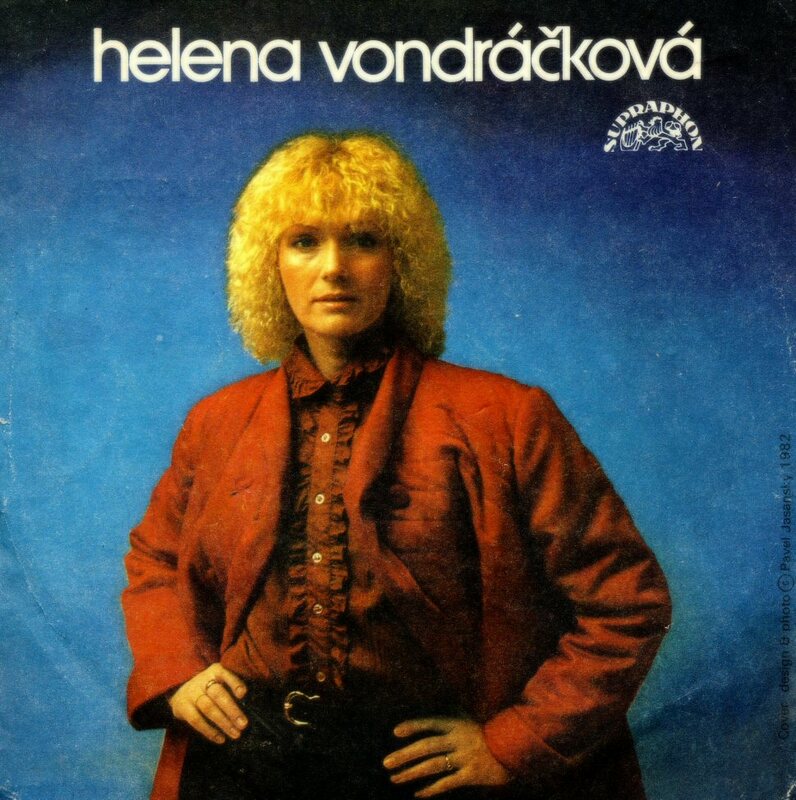 The songs were performed by Helena in the TV show "Sejdeme se na Vysluni" (We'll get together on Vysluni). On May 1st Helena appeared on Russian TV in video clip recorded in the TV studio in Prague. 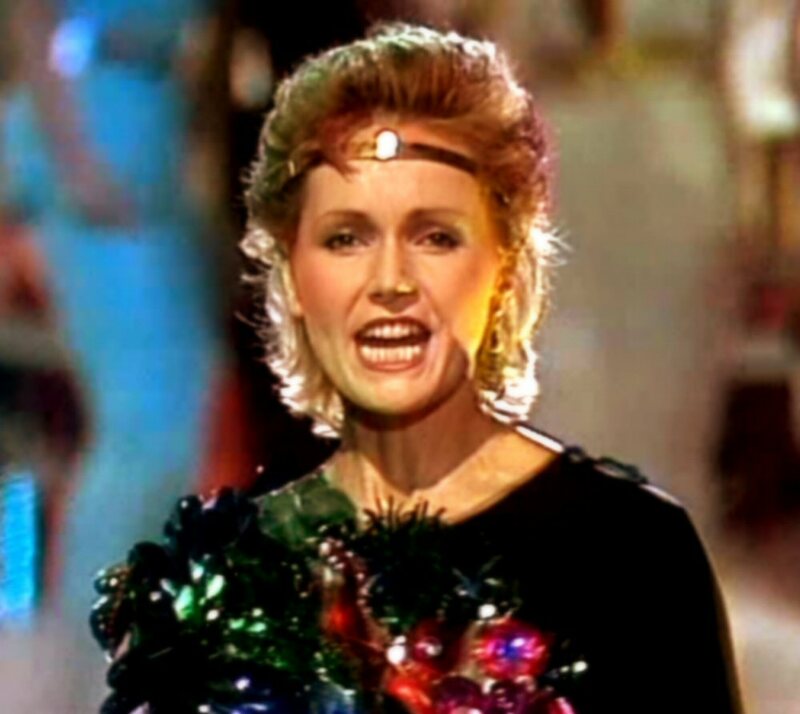 She sent greeting from Prague to Moscow in Russian language as well as she performed her hit "Je to maly svet" (This is a little world) from the 1982 album "Zrychleny dech". 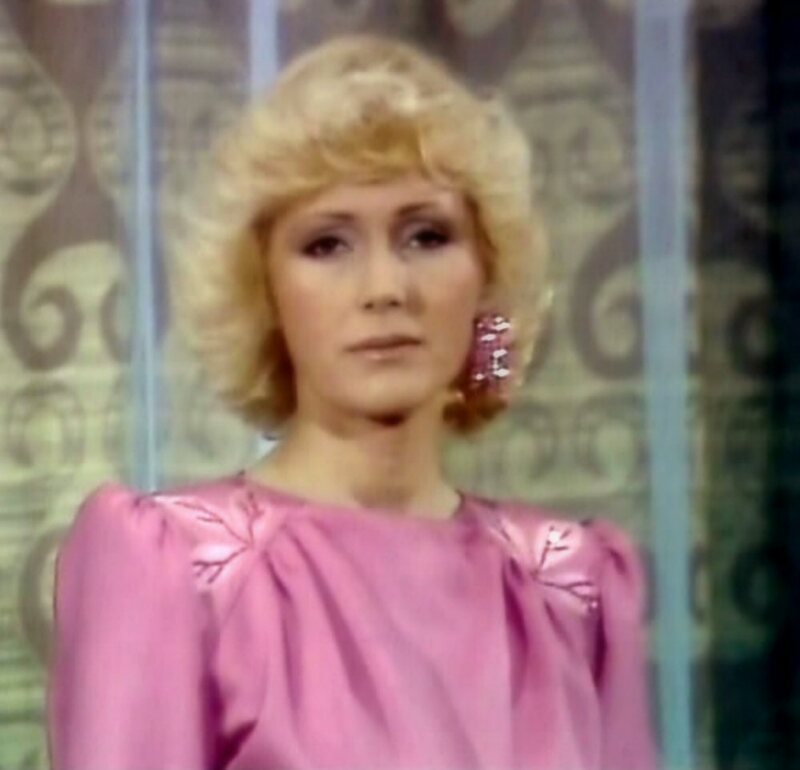 The entertaining show "Sejdemy se na Vysluni" (We'll get together on Vysluni) was aired between 1983 and 1985 by Czechoslovakian TV and it was hosted by Helena. 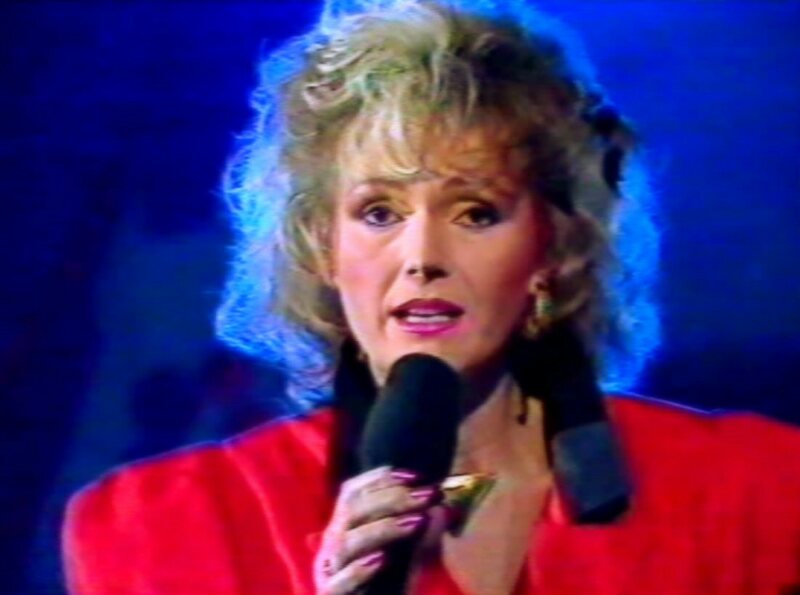 Lots of well-known artists performed in the show and even Helena contributed with several songs mainly from her current album "From me to you". 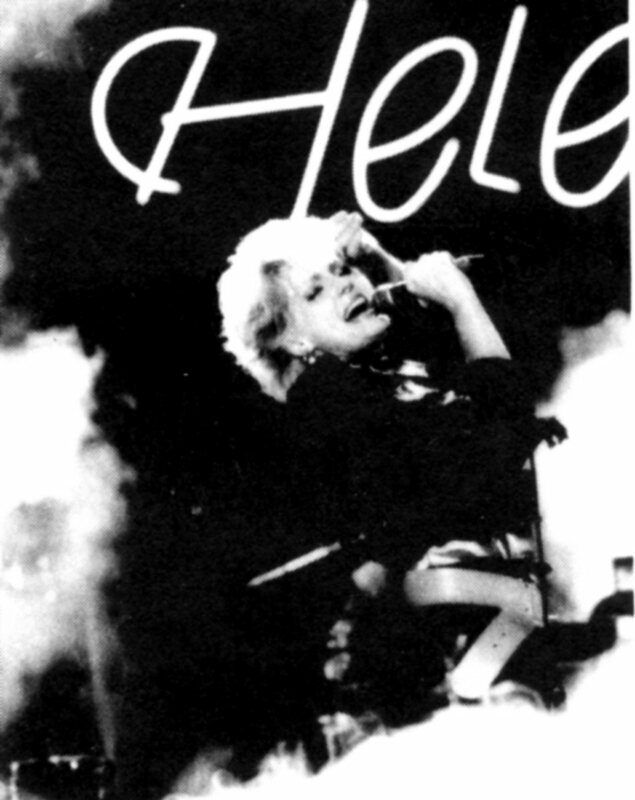 One of the songs performed in the show by Helena was "Ani nahodou" aka "The Heat Is On". Helena appeared on the annual "Golden Nightingale"-gala at the beginning of December. 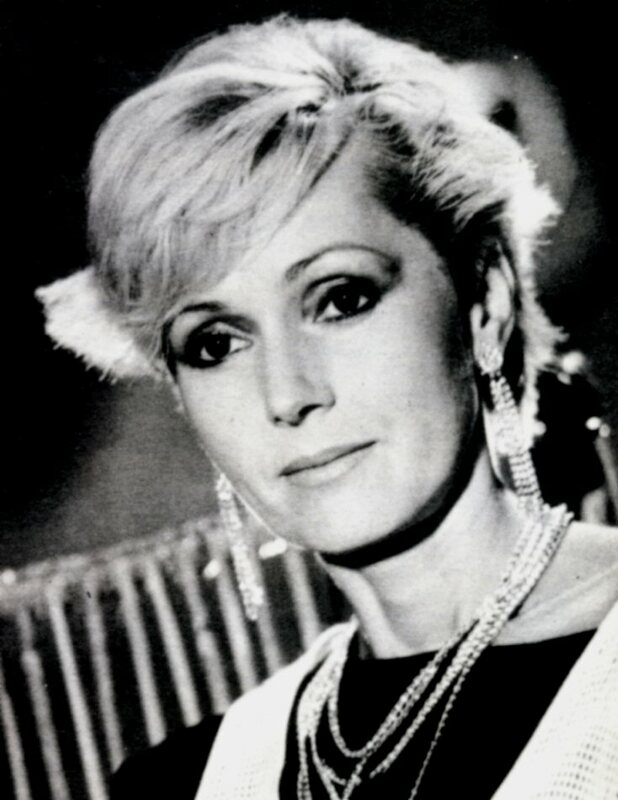 In 1984 Helena was awarded with Silver Nightingale as the second best female singer of the year. During the show Helena performed her two current hits: "Cas je proti nam" (Time is against us) and "Nahravam" (I am recording). 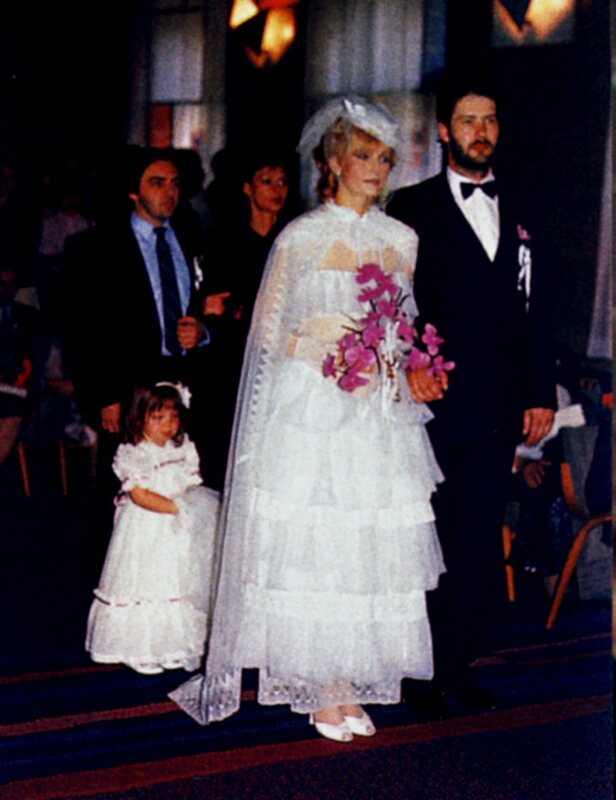 In February 1985 Helena and Jiri Korn arrived in London. They met an English choreographer Douggie Sqquirese who helped them with new ideas for their dance performances. 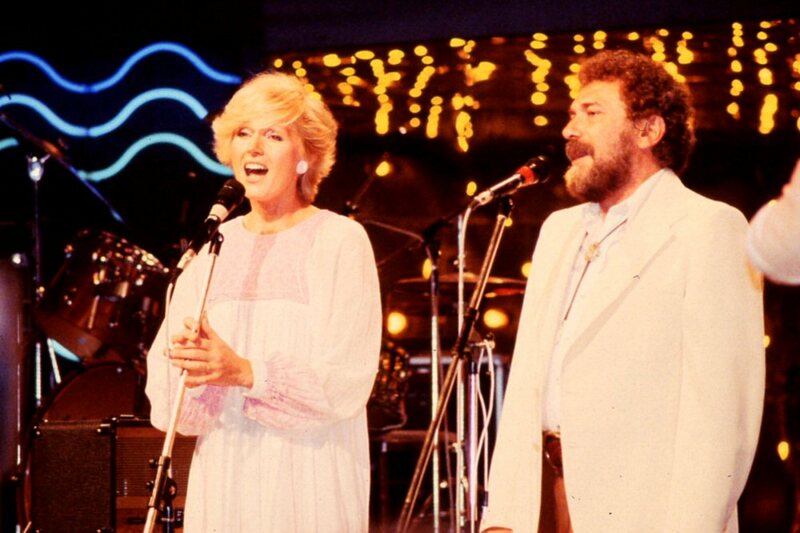 After the stay in London both singers went to Baden-Baden in West Germany where they appeared on TV. 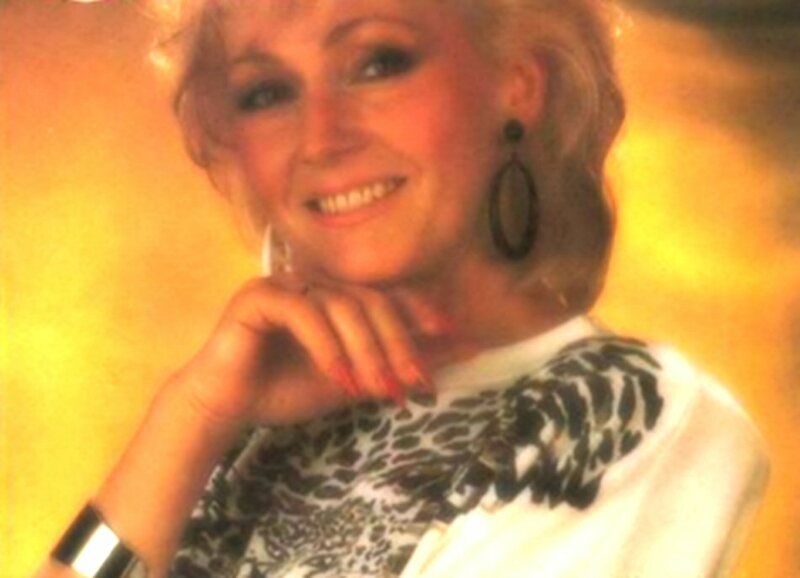 Helena and Jiri Korn participated in the show "Moments with songs" recorded in the Prague Concert Hall "Lucerna" where they performed "I Like Chopin" - an international hit which Helena had released on her 1984 album "From me to you". The musical cooperation with Jiri Korn continued during next two months. Vondrackova and Korn toured in Czechoslovakia, Poland, Sovjet Union, France, Holland and Italy. The last performance took place at Friedrichstadtpalast in Berlin. Later the same year Helena and other Czech singers went to Havana (Cuba) and performed on The Czechoslovakian Days on Cuba. Helena was accompanied by the band and her brother Jiri. 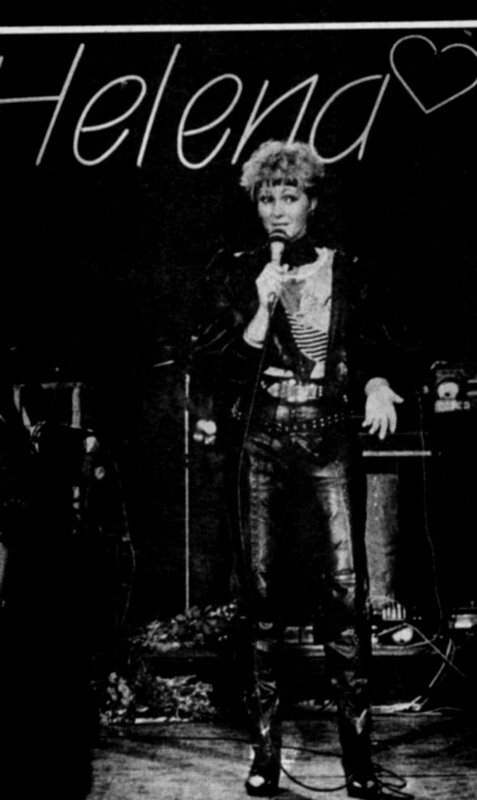 Helena started her 1985 tour called "Velka neonova laska" on 15 May 1985. The final concert took place at Lucerna concert hall in Prague on 16 September 1985. The last Prague concert was filmed by Czechoslovakian TV. 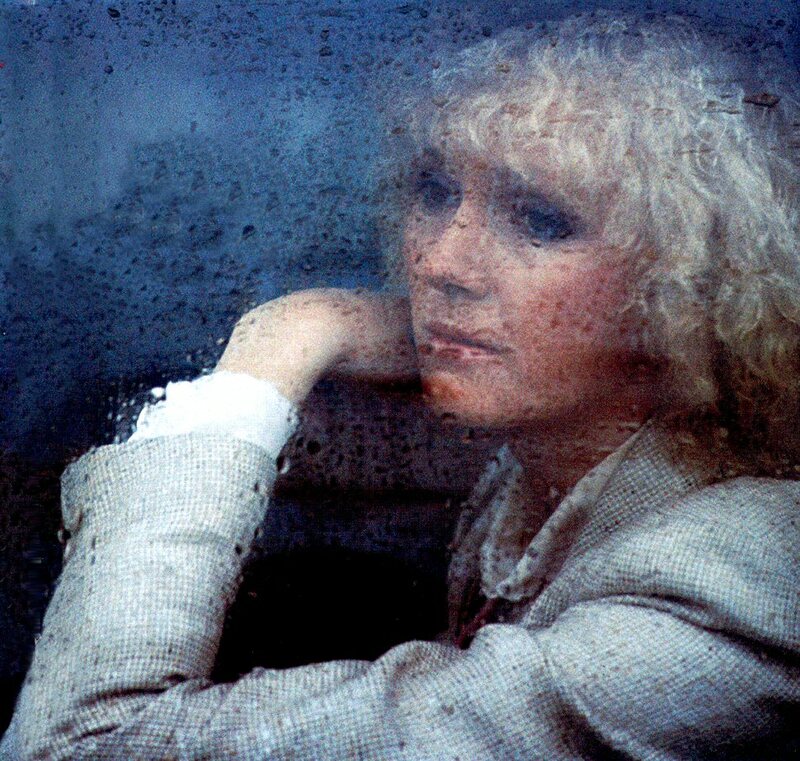 The LP "I Am Your Song" was released in 1985 it featured 12 hits recorded by Helena in English. The songs had been chosen from Helena's latest albums. 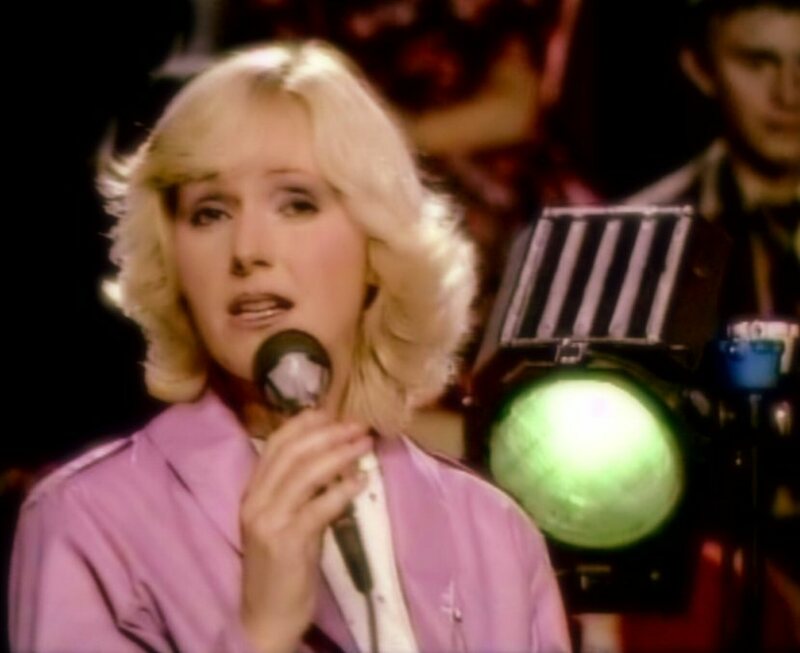 The album included even a real rarity - an English version of Agnetha Fältskog's 1983 hit "The Heat Is On". 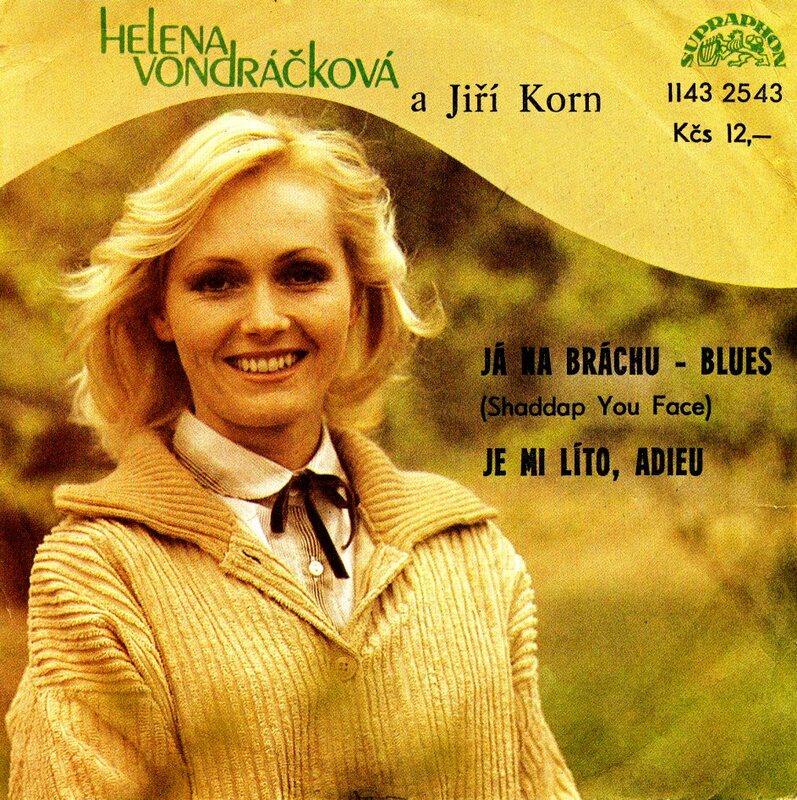 The Czech version of the song had been released on Helena's 1984 LP "From Me To You" under the title "Ani nahodou". 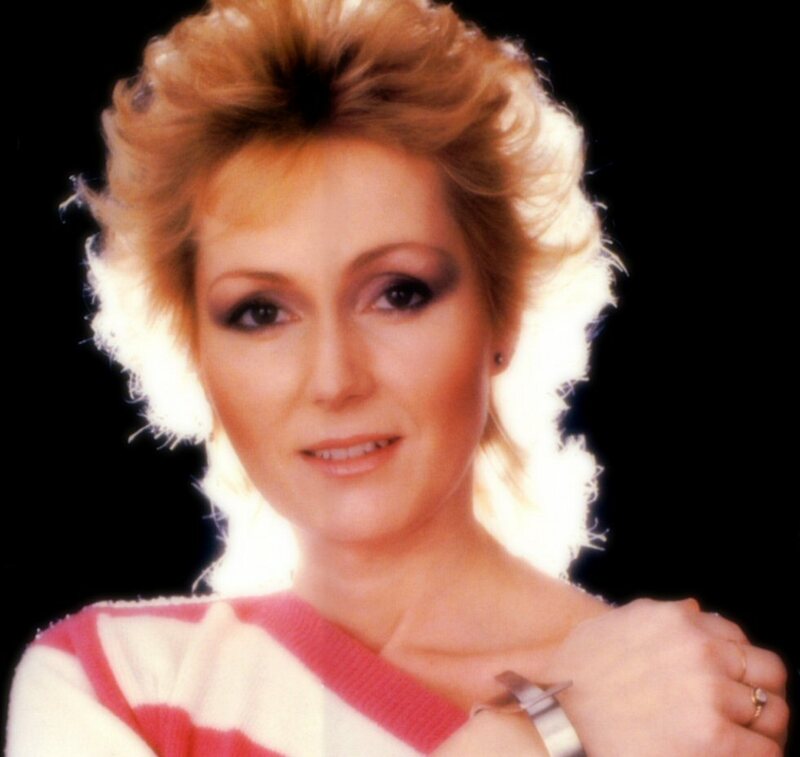 Her big hit "Cas je proti namn" had been re-recorded and got title "Time is not on our side". 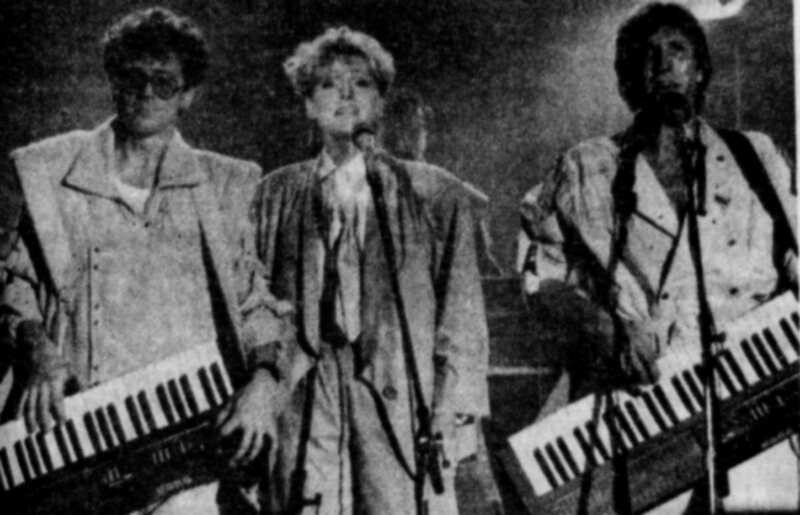 The recording sessions for the album had been held in October and November 1984. 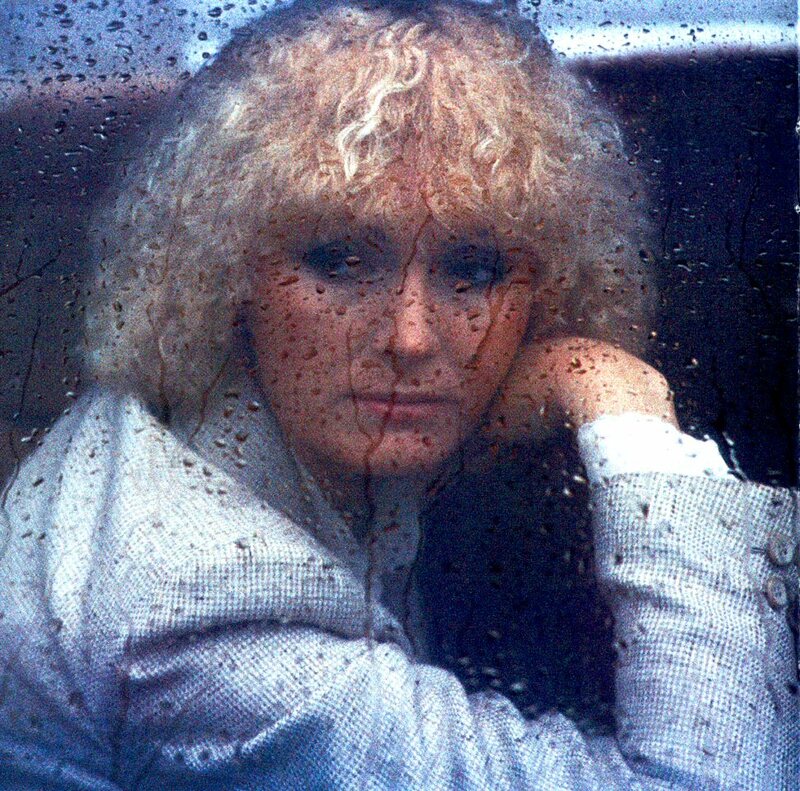 The Polish release of the album (with different cover) had wait until 1990. In June Helena performed on the International Song Festival "Bratislavska lyra" in Bratislava (Slovakia). Three alternative shots from one of the photo sessions for the cover of the album "Sprint". 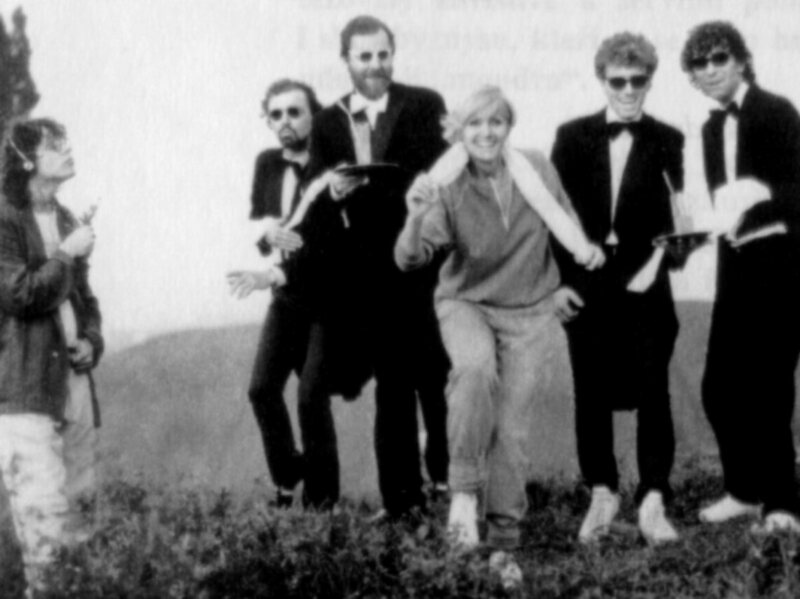 The new studio album released in 1985 was entitled "Sprint" and it featured 12 new songs. 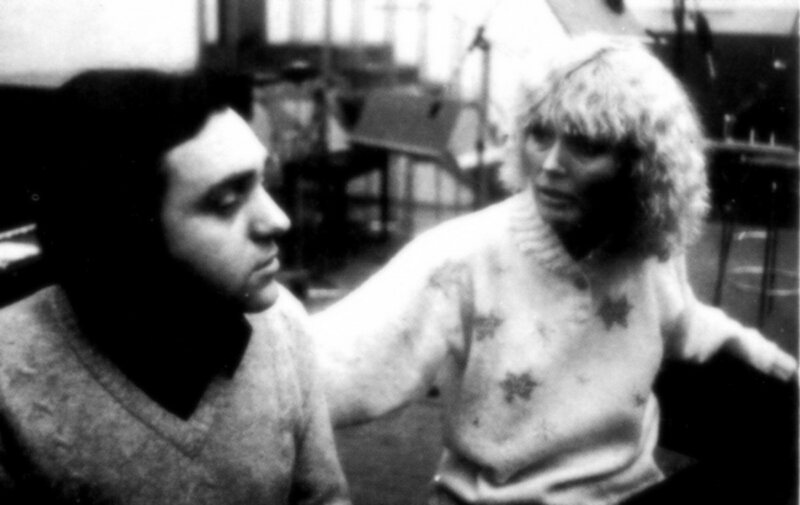 The recording sessions had been completed on 31 May 1985. The album was released shortly before Christmas the same year. 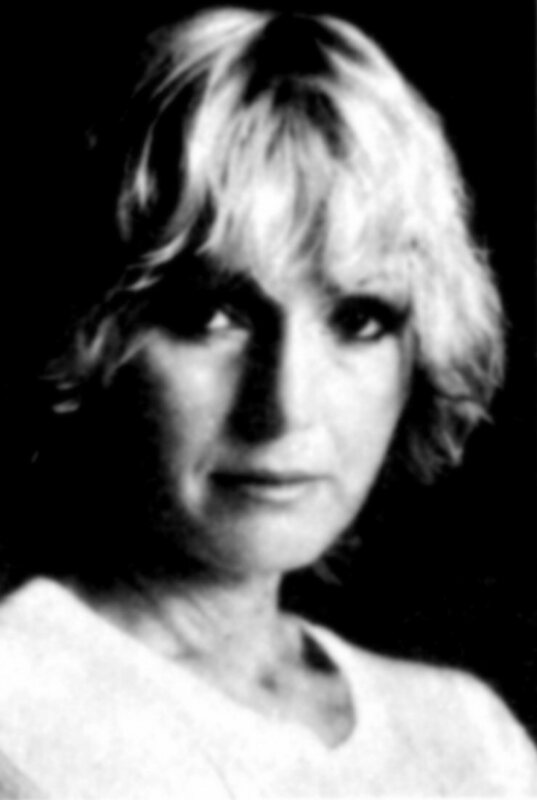 Helena's husband Helmut participated on the album both as songwriter and musician. 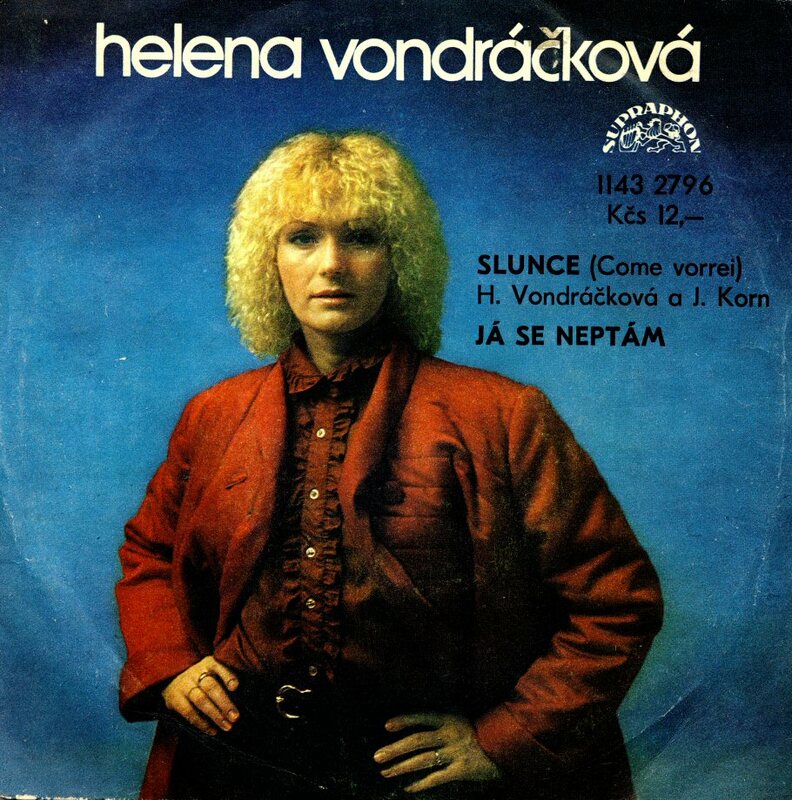 The singles that promoted the album before its release were: "Jeste svetu sanci dej" (Give the world one more chance), one of the best songs Helena ever recorded written by legendary Karel Svoboda, the title track "Sprint" and "Proto dam vodu svym kvetinam" (That's why I will give my flowers some water). 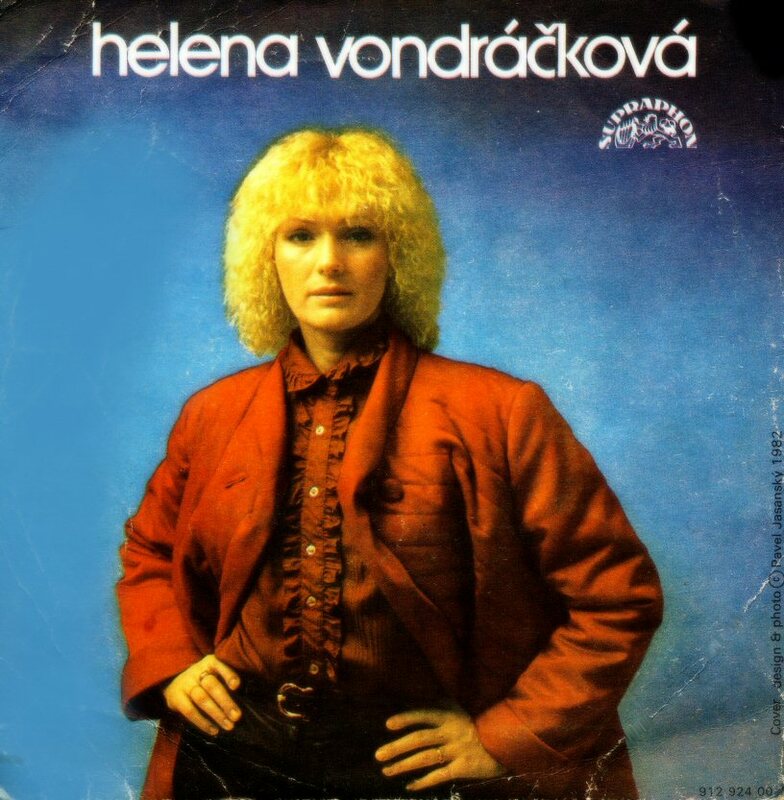 In 1986 Helena recorded two albums. 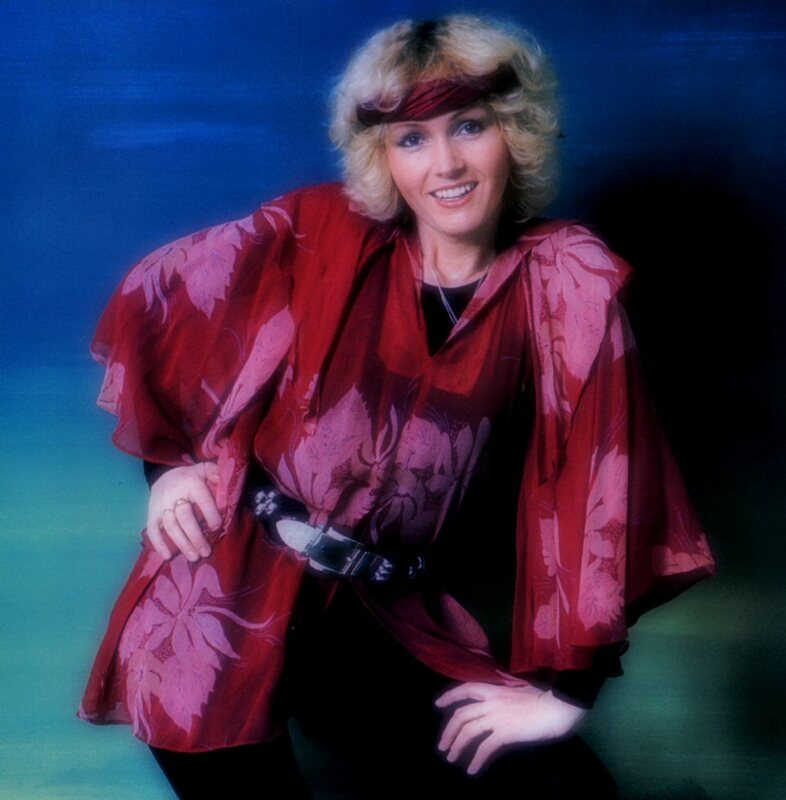 The first release was entitled "Solo pro tve oci" (Solo for your eyes) and it featured 12 modern arranged songs written by Helmut Sickel (8), Helena's brother Jiri Vondracek (3) and Jan Neckar (1). 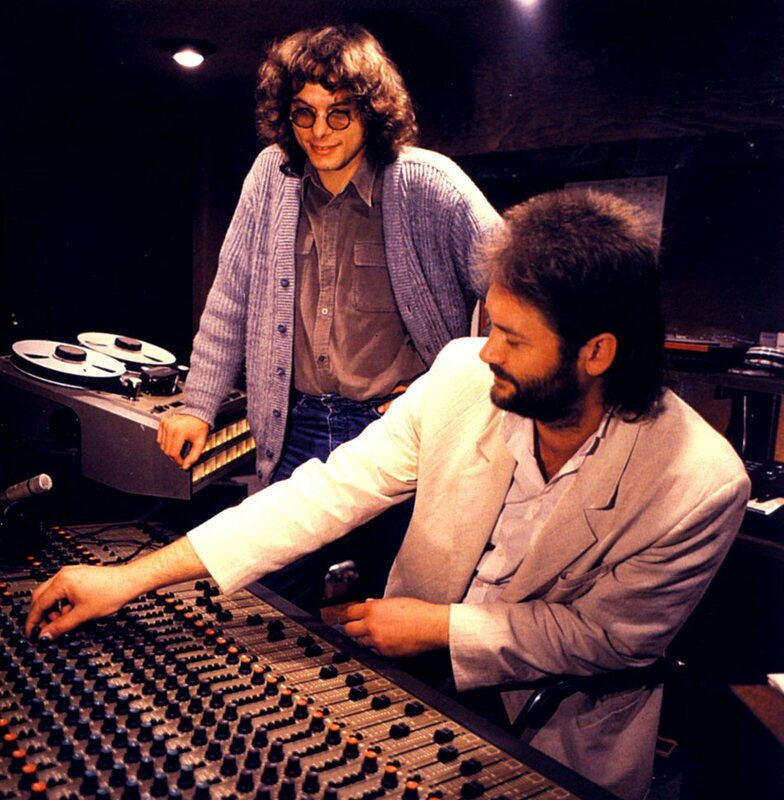 The recording sessions for the album were completed on September 12th, 1986. Helena describes the album as a modern techno-pop piece with the sound achieved with help of available technical resources by that time. 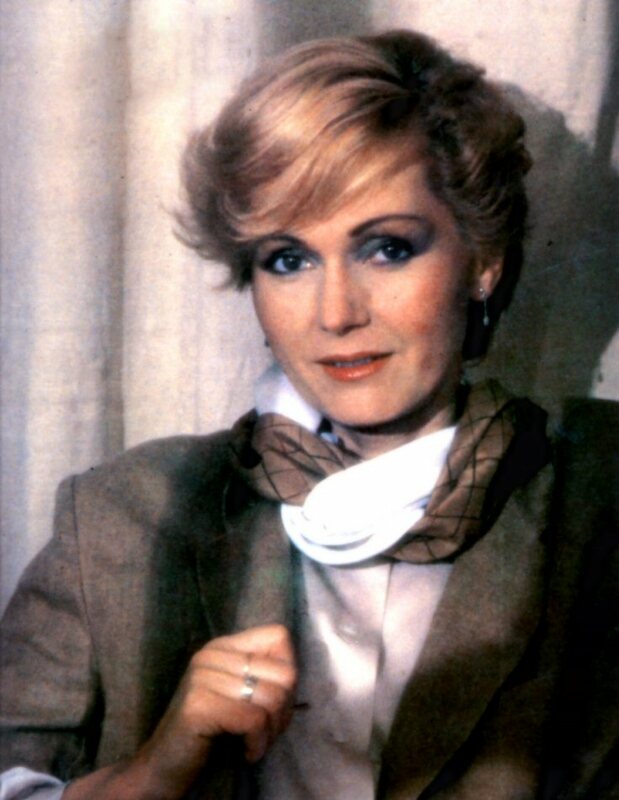 Helena promoted her new album in several TV shows on Czechoslovakian TV in the autumn 1986. In the show "Pisnicky z obrazovky" (Songs from the screen) she performed "Svaly" (Muscles) and the title song from the album "Solo pro tve oci" (Solo for your eyes). 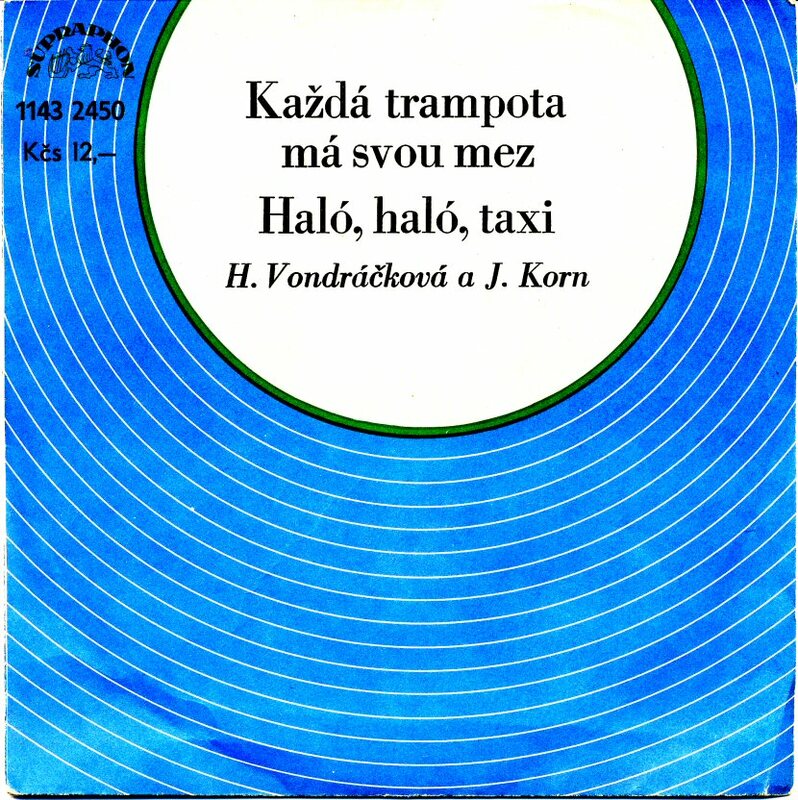 The song "Jedu kros" was featured in the TV special "Promeny Heleny Vondrackove" (The transformations of Helena Vondrackova). 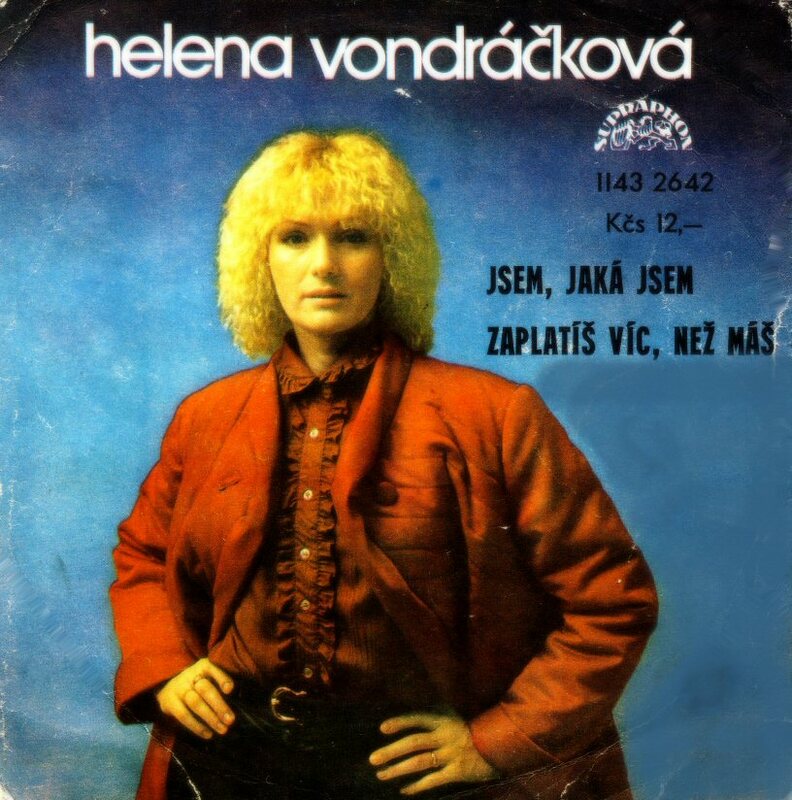 The LP "Helena sings Jezek" was released at the beginning of 1987. 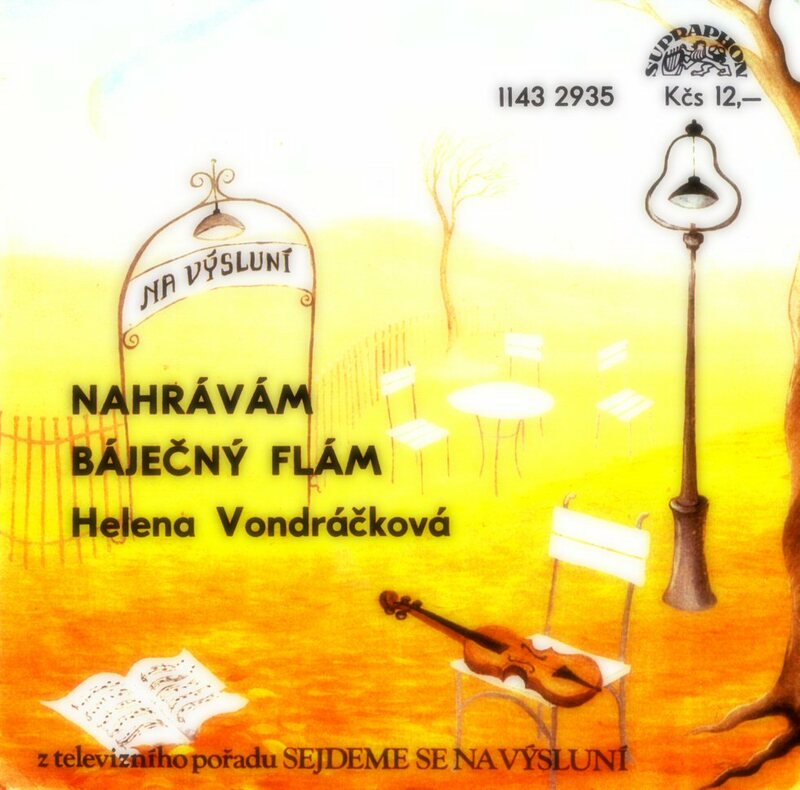 Helena recorded a whole album with her own versions of songs written by a Czech composer Jaroslav Jezek (1906-1942). 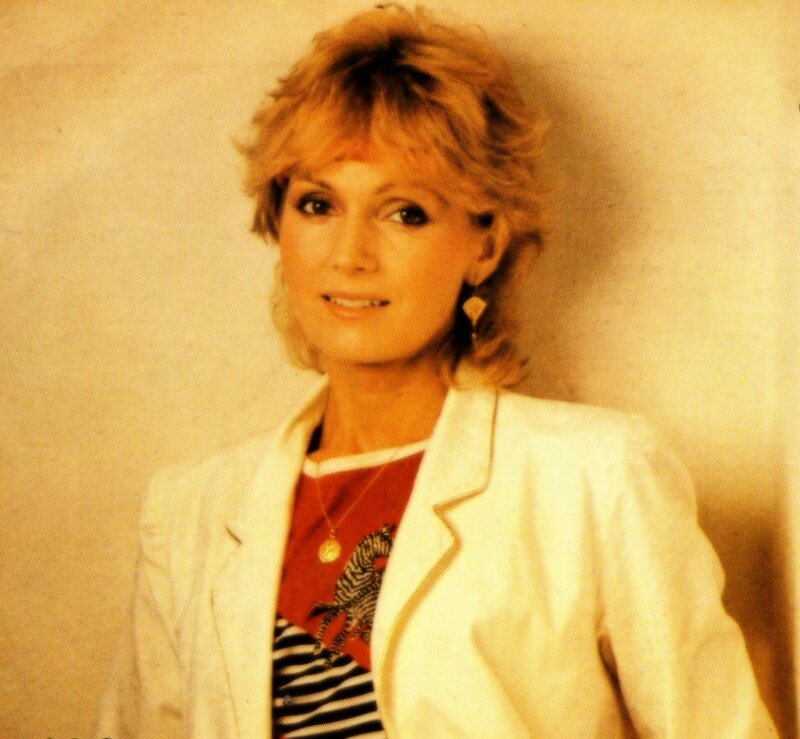 The LP "Helena zpiva Jezka" with 14 songs had been completed in June 1986 but the release had to wait until the beginning of 1987. This album was quite odd project in Helena's career as it contained material originally performed in theatres. 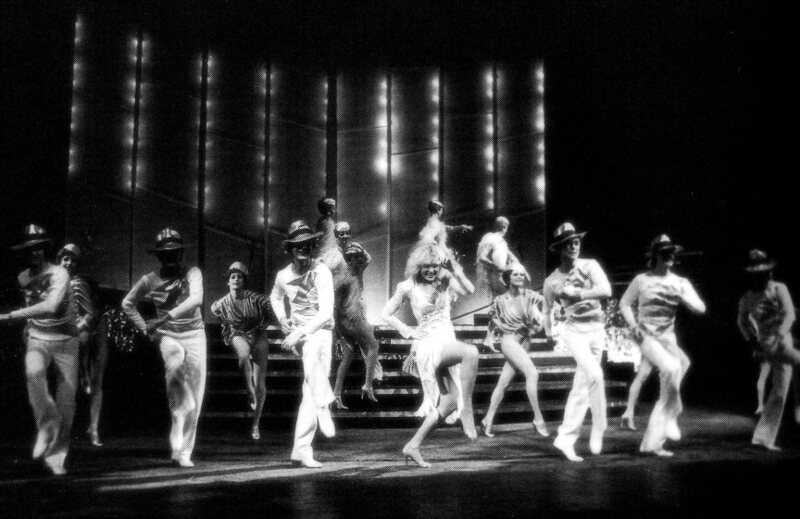 Helena's versions had no theatre feeling as she recreated them into plain pop songs with a touch of the 1930s and 1940s. 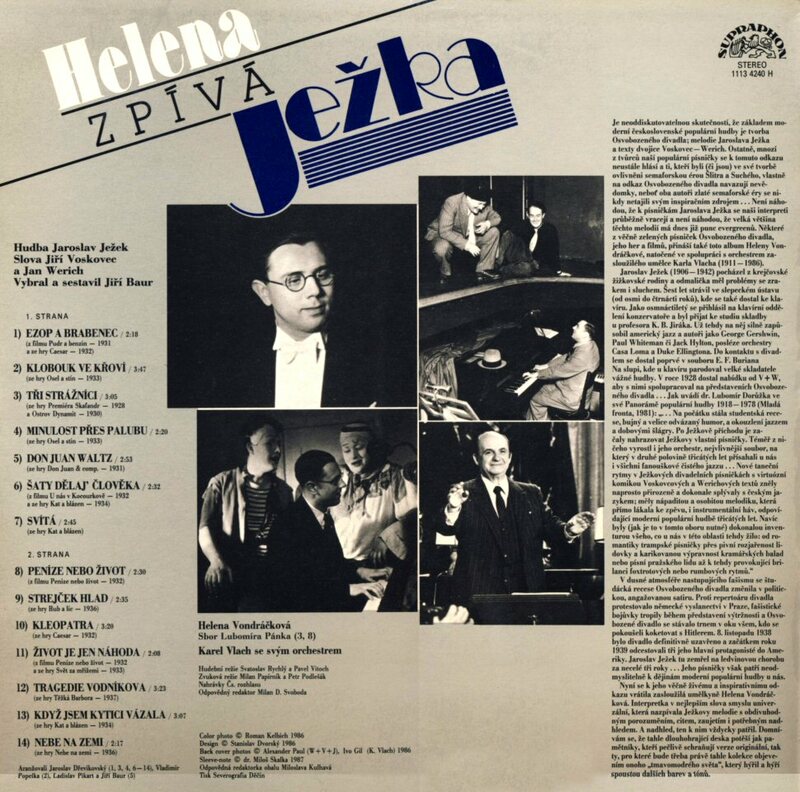 The idea of recording this album came from the orchestra conductor Karel Vlach who wanted just Helena to perform the songs of Jaroslav Jezek. 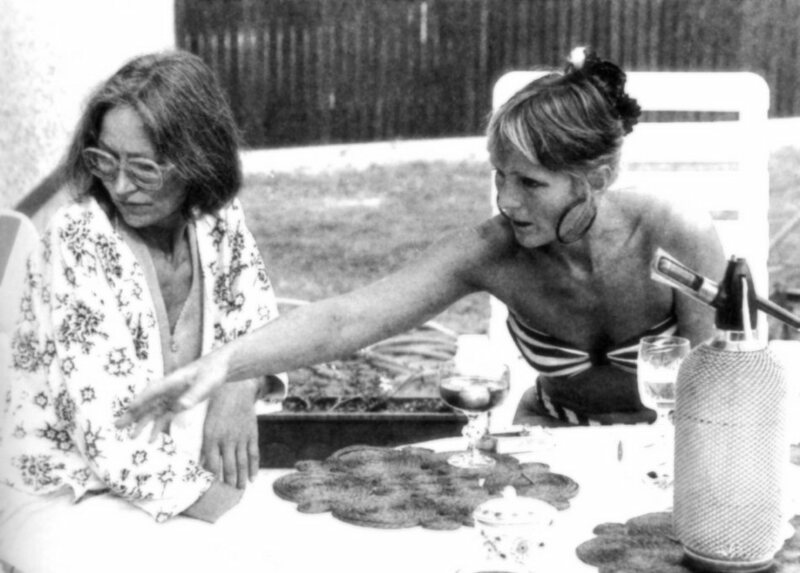 The artist herself was very happy to have a possibility to perform the songs as the composer had always belonged to Helena's favorites. In June Helena and Helmut started working with songs for a new album. 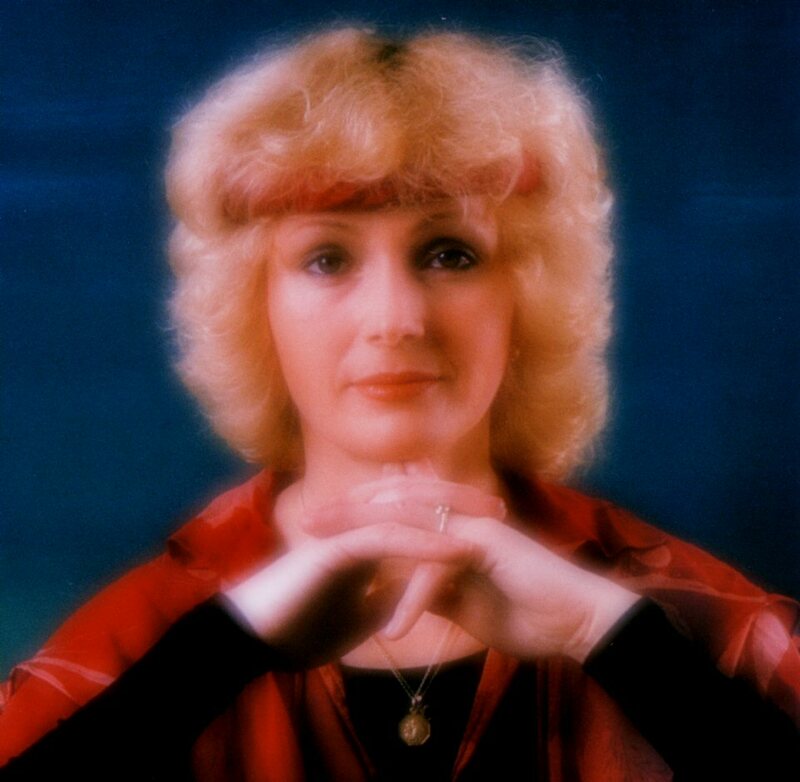 Almost all material for the forthcoming album was written by Helena's husband Helmut Sickel. The recording sessions continued during all three summer months at the studio H Sestrih in Prague. Even if the album was completed in August the release would wait until next year. 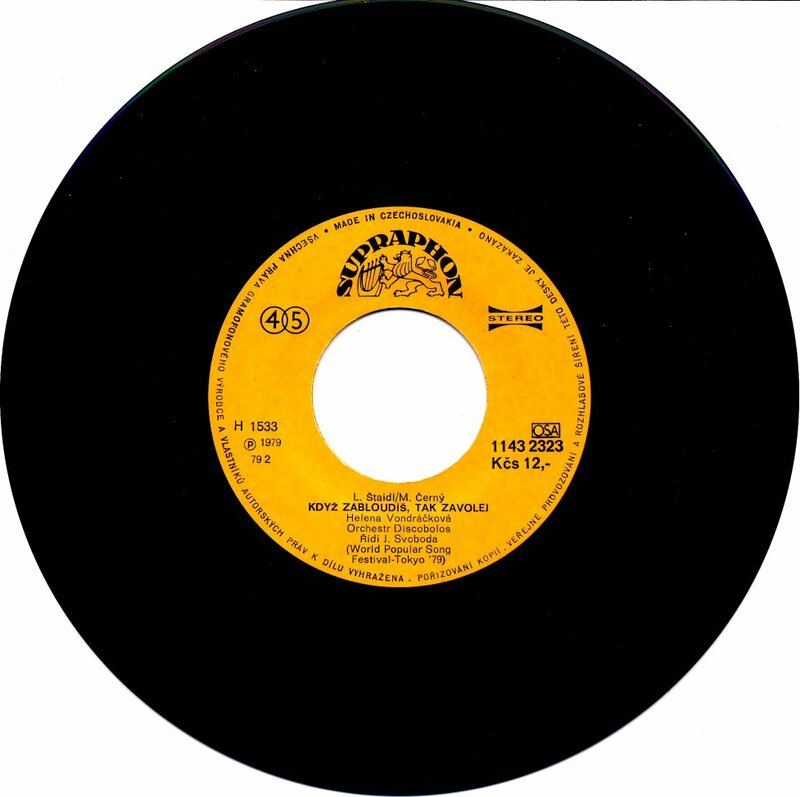 The first song from summer recording sessions was a cover of one of the biggest world hits of 1987 "I Wanna Dance with Somebody" originally sung by Whitney Houston. 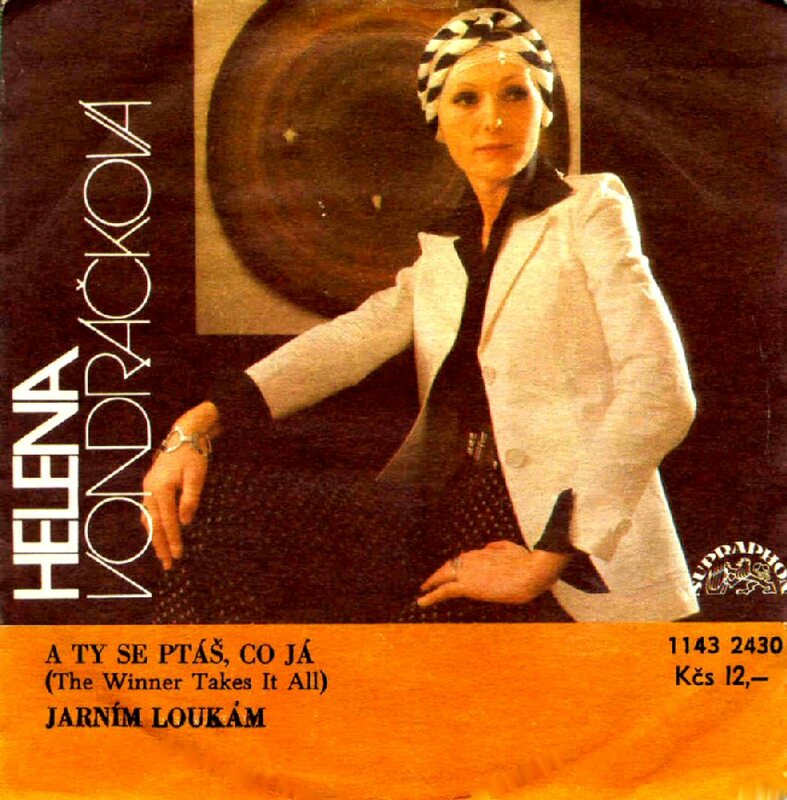 Helena presented it for the first time in the New Year's Eve TV show on Czechoslovakian TV. The second single promoting the upcoming new album was an LP track "Krizaly, housle a pulmesic". Helena and Jiri Korn appeared in a TV show devoted to Elvis Presley. They performed the song "A Boy Like Me, A Girl Like You" which was not available on any record until 2007 when it was included on Helena's and Jiri's compilation album "Tech par dnu" in 2007. 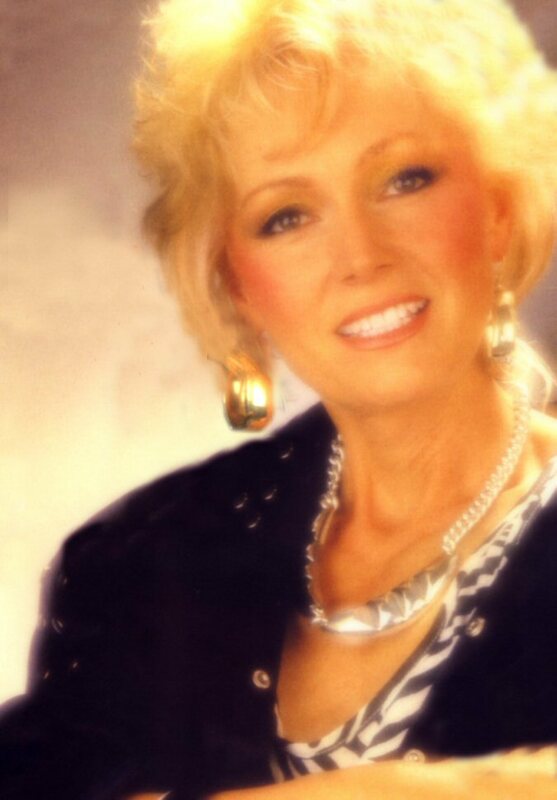 Helena did not forget her old friend from Golden Kids - Marta Kubisova who was by that time forbidden as a singer by communists. The photos below were taken when Marta was at Helena's place in Ritka one summer day in August 1988. Finally the new album "Skandal" (Scandal) was released - almost one year after the recording. 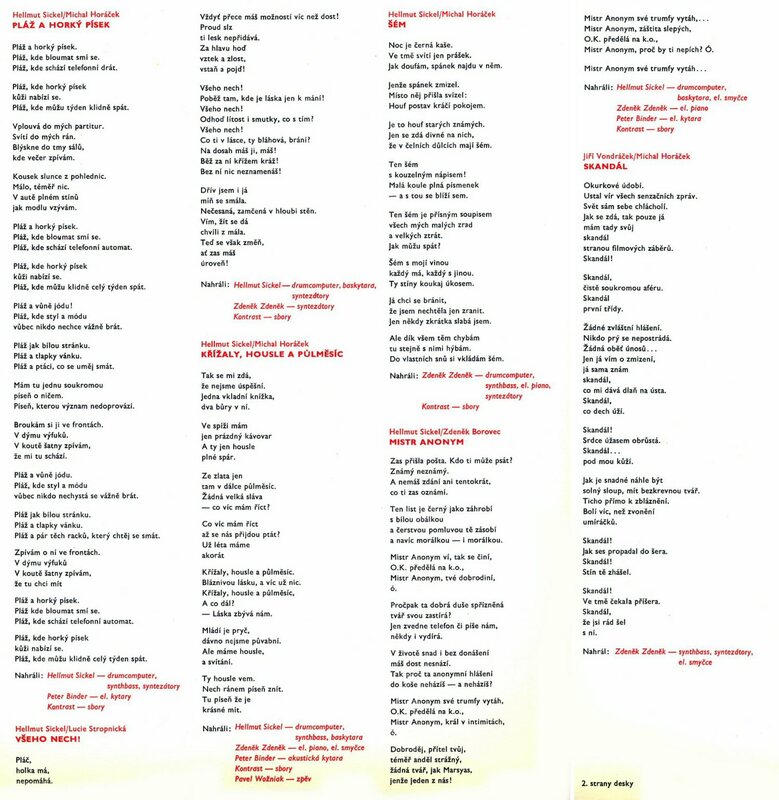 Among 11 released songs 9 of them were written by Hellmut Sickel and one by Helena's brother Jiri Vondracek. Hellmut arranged 6 songs on the album and played on several instruments. 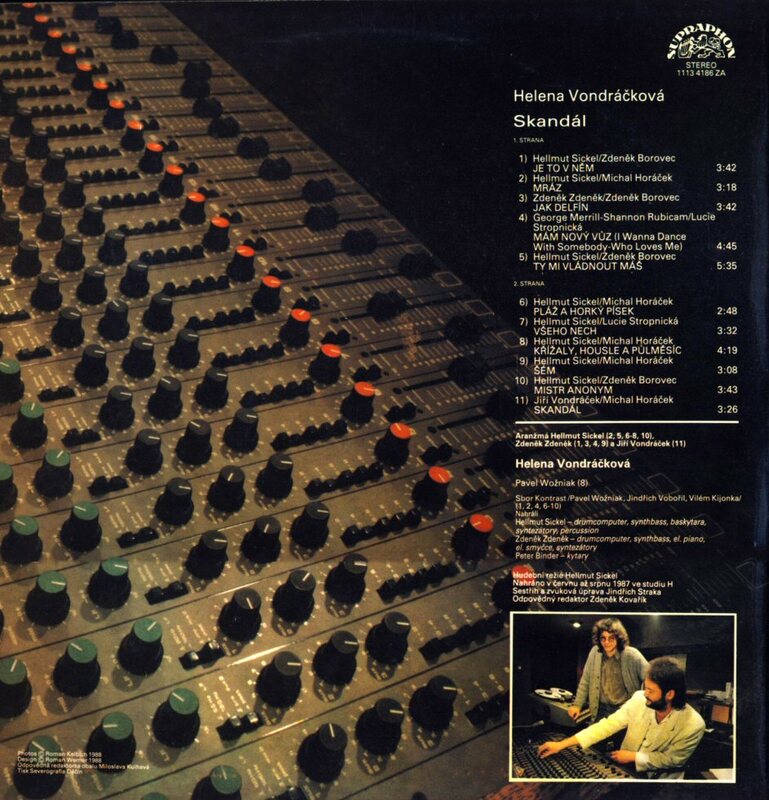 The album "Skandal" would be Helena's last studio album in the 1980s. The album was promoted by the traditional christening. 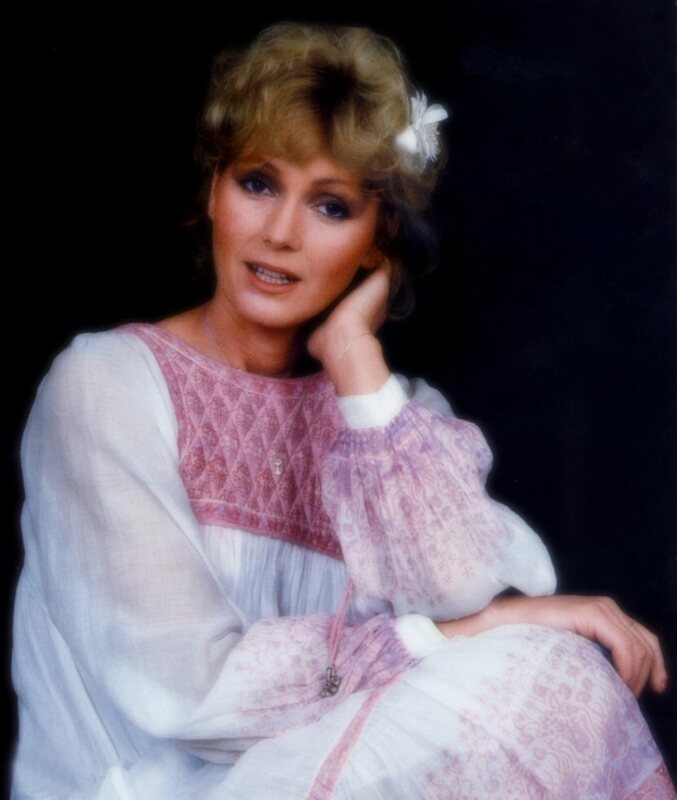 One of the photos from this session would be used on the cover of the Polish release of Helena's greatest hits album "I am Your Song" in 1990. 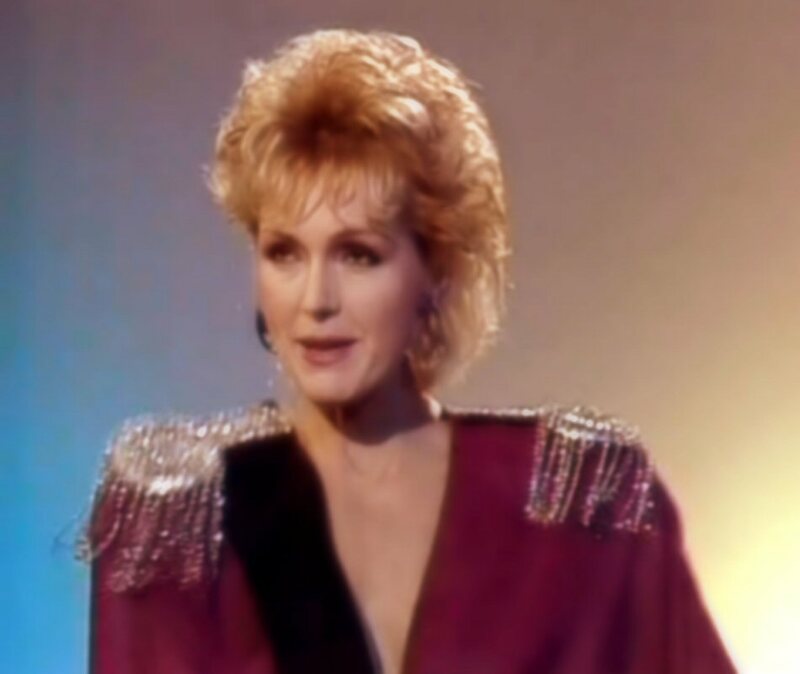 A big TV show featuring Helena was recorded by Czechoslovakian TV in 1988. 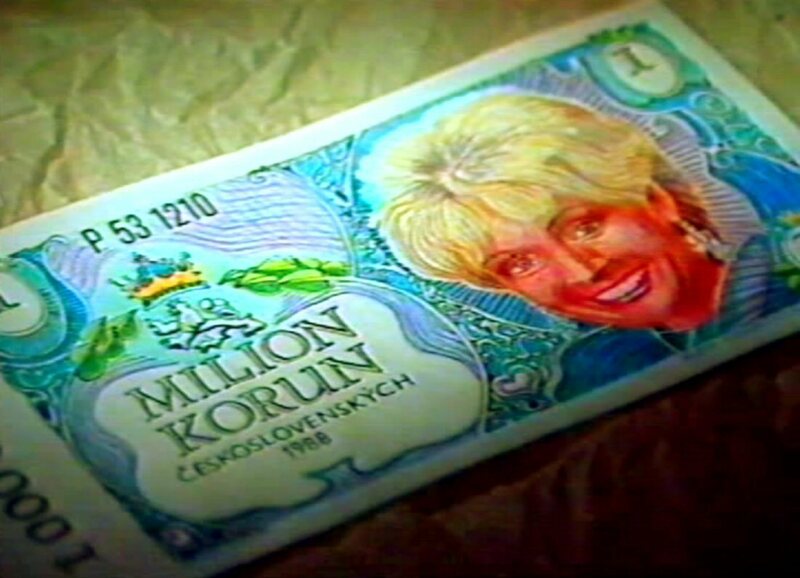 The show was entitled "The million Helena" and it was hosted by Jiri Korn. Helena's parents and her brother were special guests. She performed her great hits and songs from the latest album "Skandal". Helena worked as usual even if there was an absolute stagnation in the cultural life in Czechoslovakia after the Revolution 1989 - theatres were closed, no concerts were arrangetd. 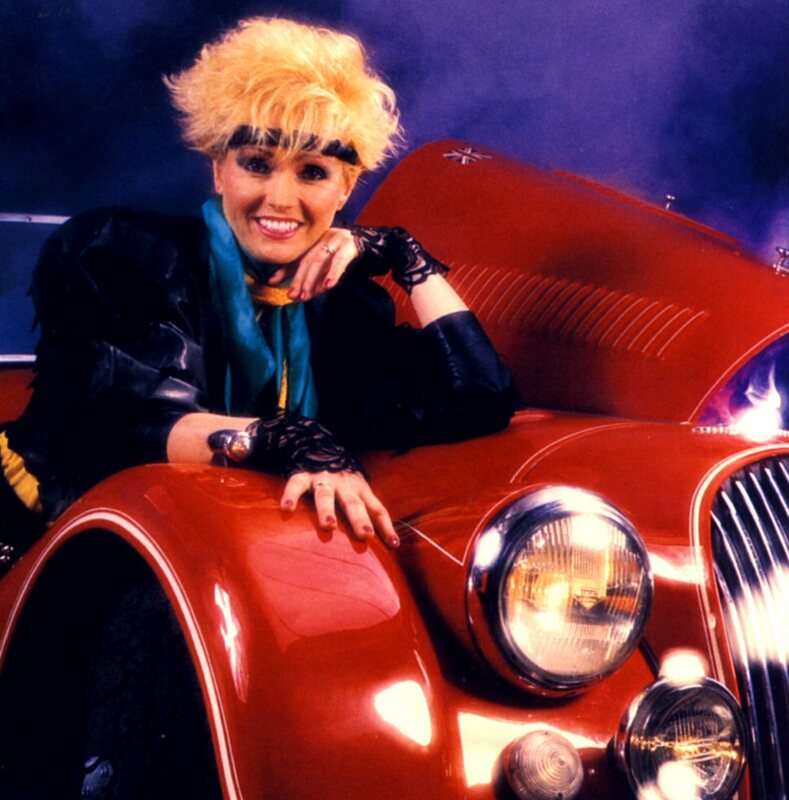 Helena released only two singles in 1989. 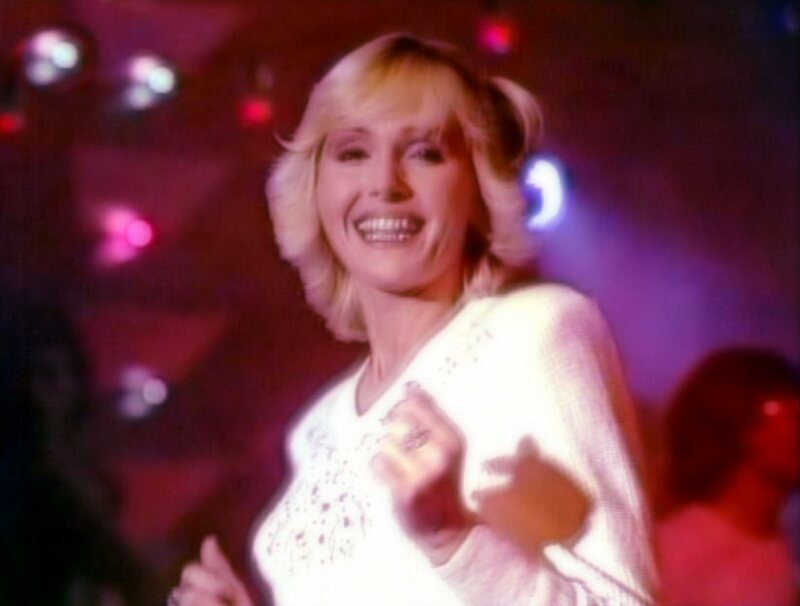 One of them contained the big hit "Svou partu pratel jeste nastesti mam" (Luckily I still got my friends with me) and the cover of Giorgio Moroder's hit "Hand in Hand" performed together with old friend Karel Cernoch. The biggest project with Helena's participation was a TV show "Abeceda". 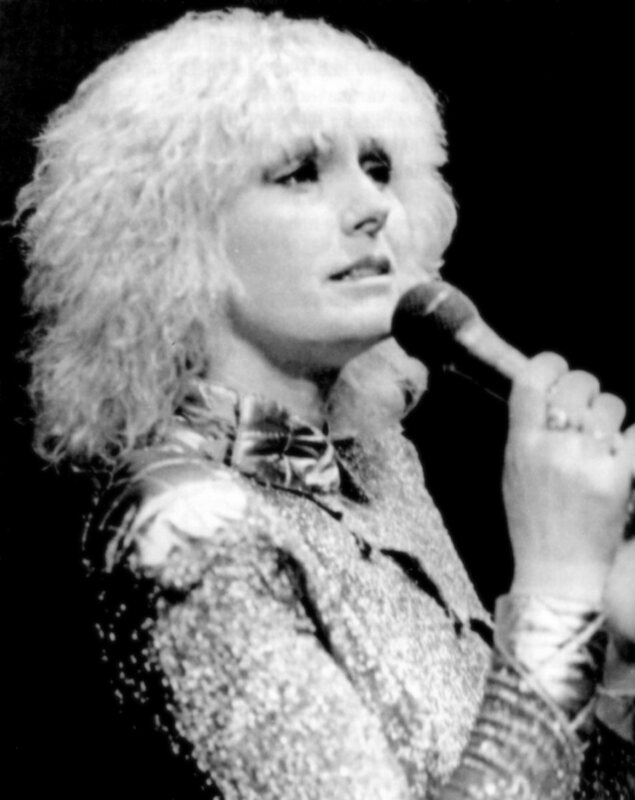 Helena hosted the show and performed several songs. Among the guests there were the actress Dagmar Vserknova (today married with Vaclav Havel - former president of Czechoslovakia) and the Polish group VOX. 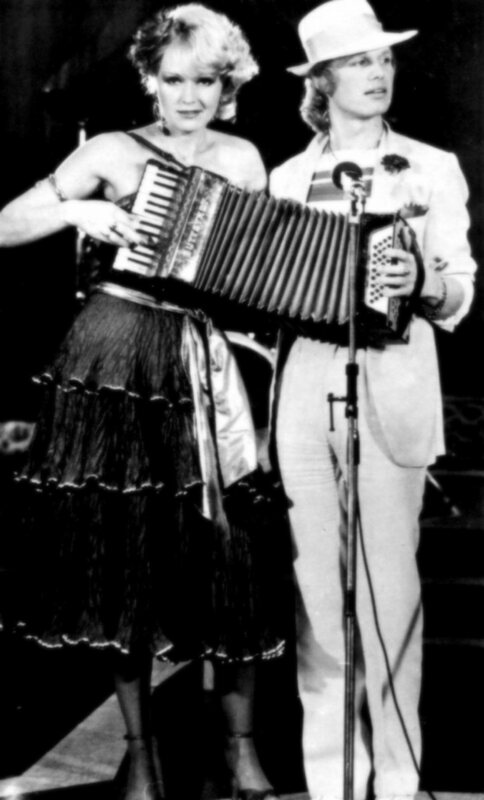 In 1989 Helena performed together with Anatolij Aljosin in Moscow. 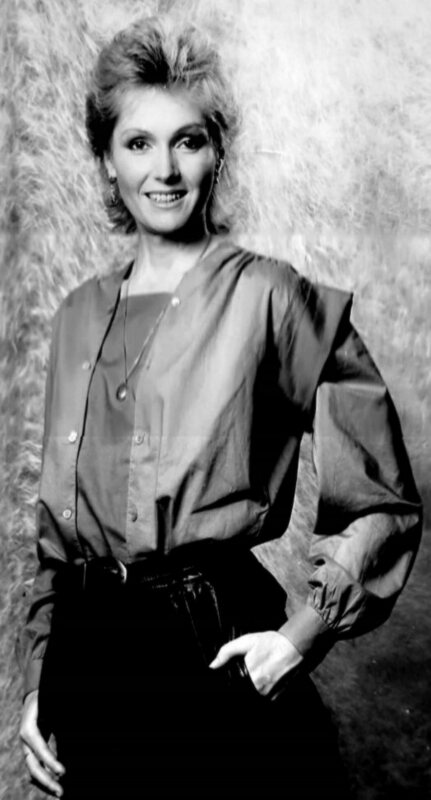 Helena was one of the artists who supported the Czech students and the Revolution 1989 in Czechoslovakia. 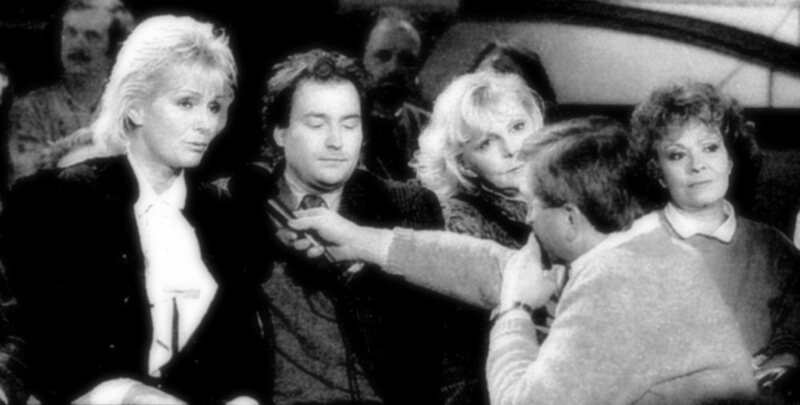 In November 1989 she attended a big supporting meeting at Lucerna in Prague. 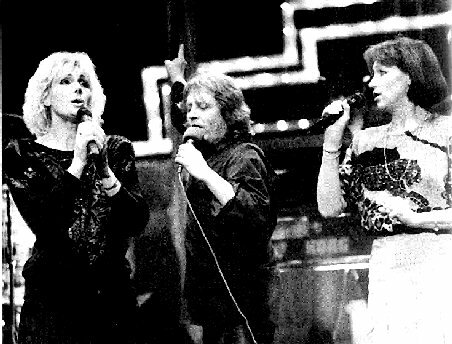 On 26 and 27 December 1989 Helena, Marta and Vasek stood on stage together again. Golden Kids performed at the Karlin theatre in Prague. It was their first performance since 1970.